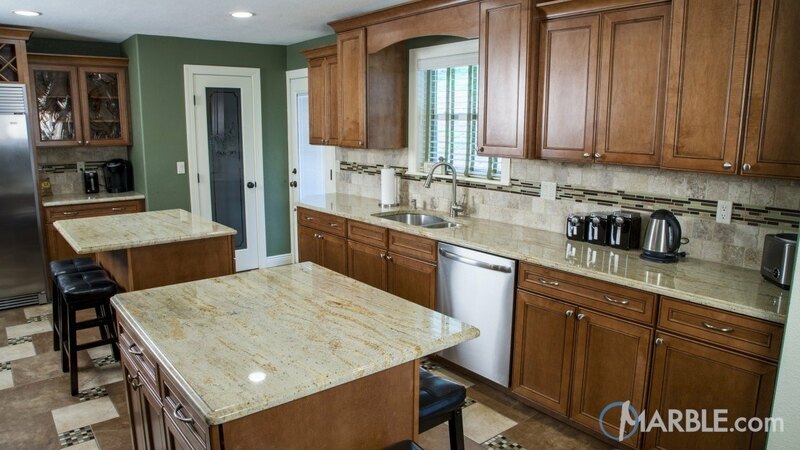 Earth tones rule this beautiful kitchen. 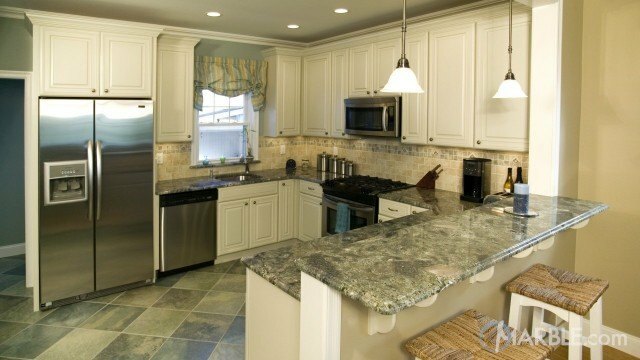 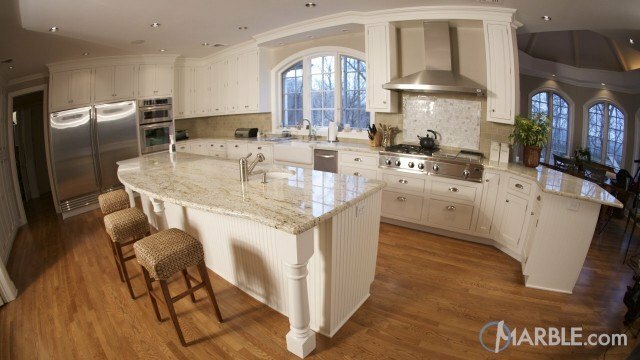 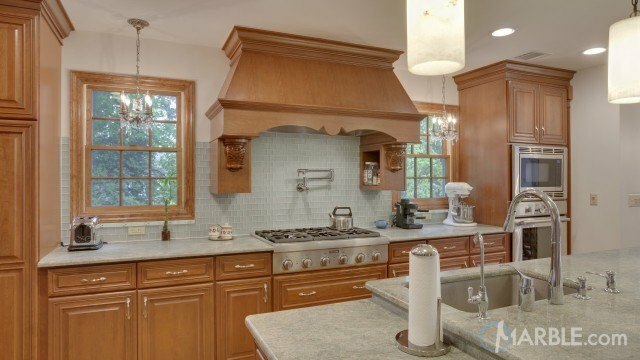 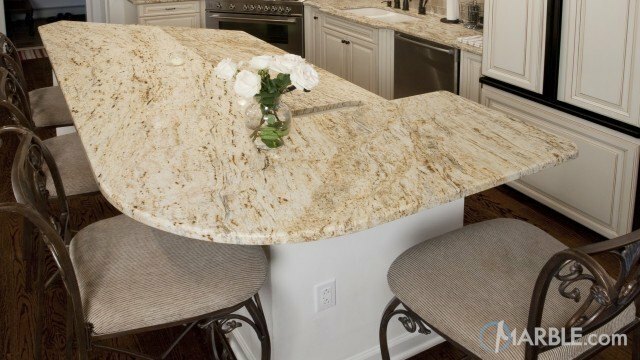 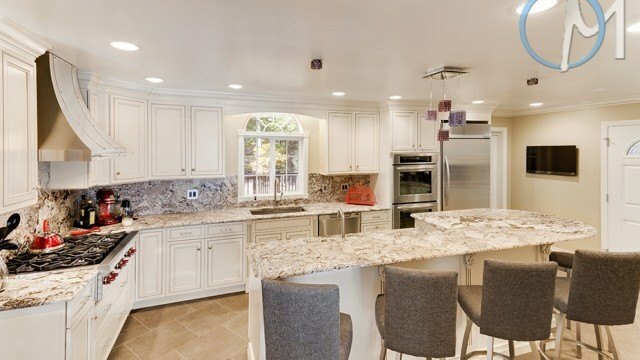 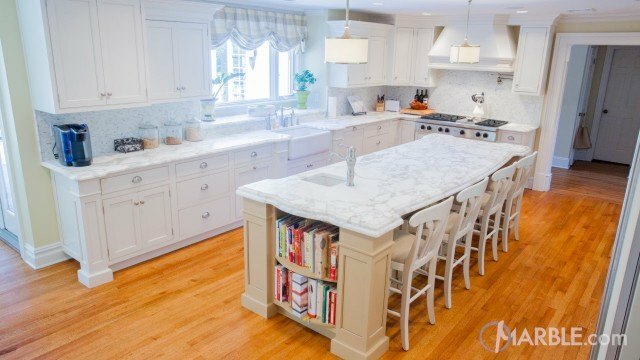 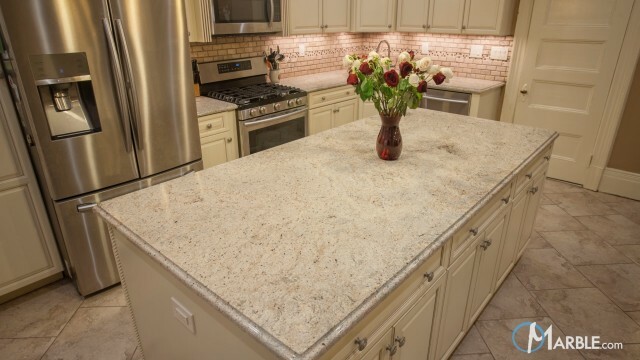 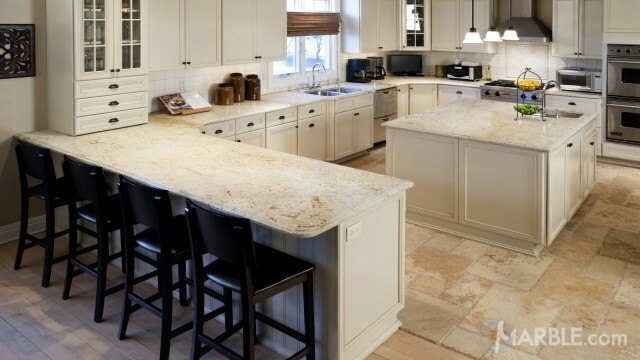 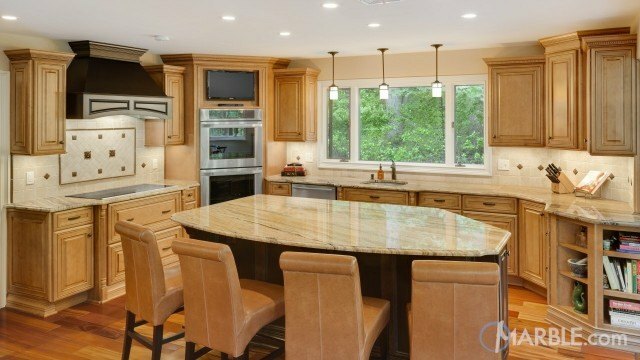 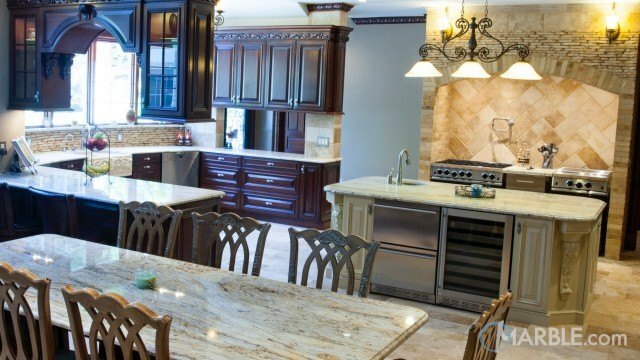 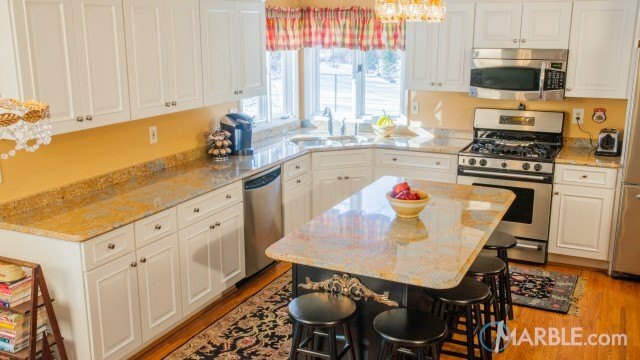 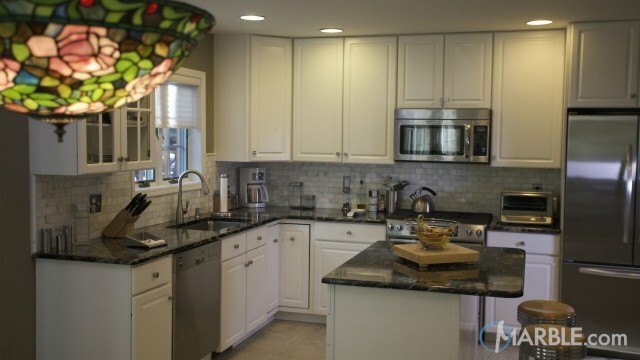 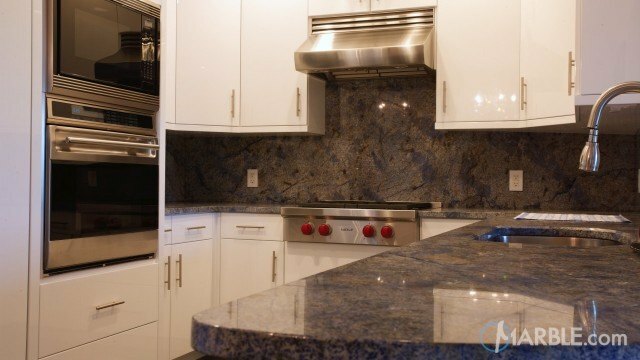 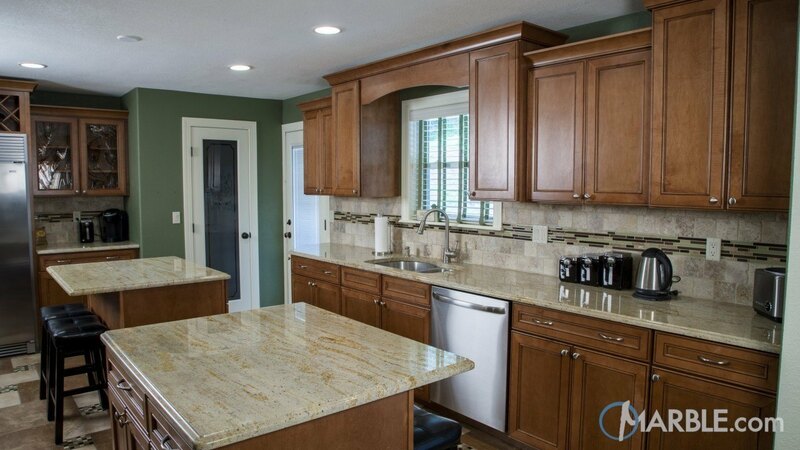 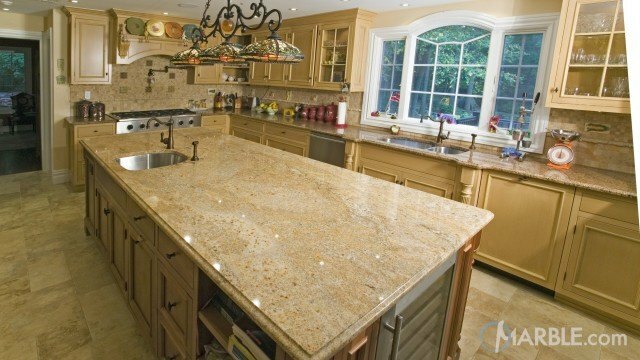 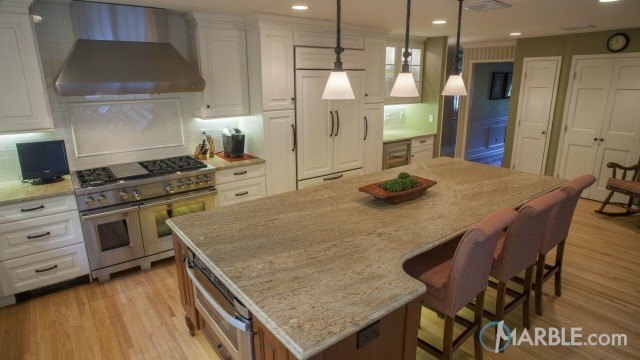 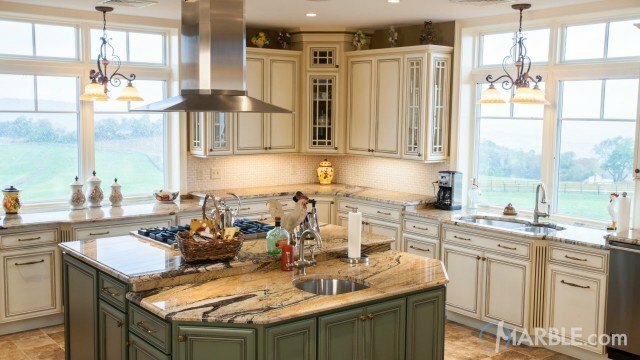 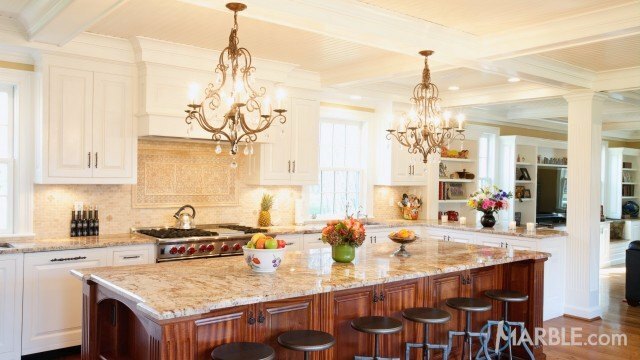 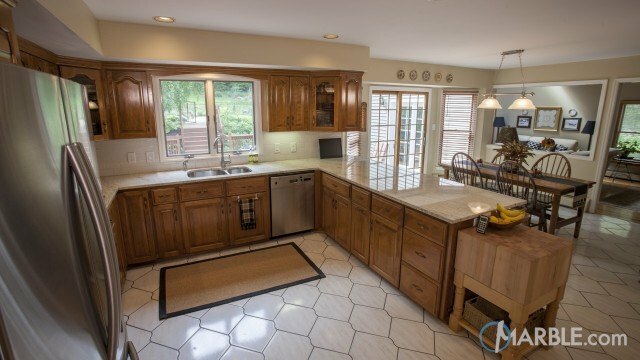 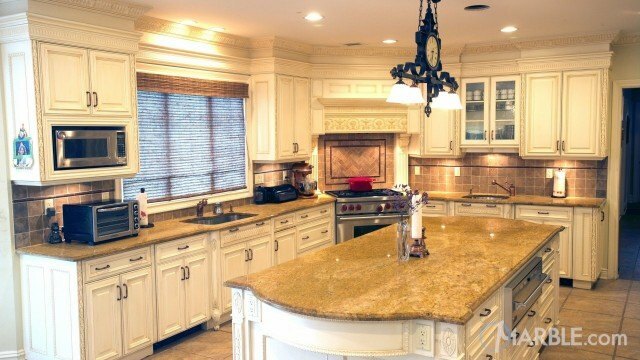 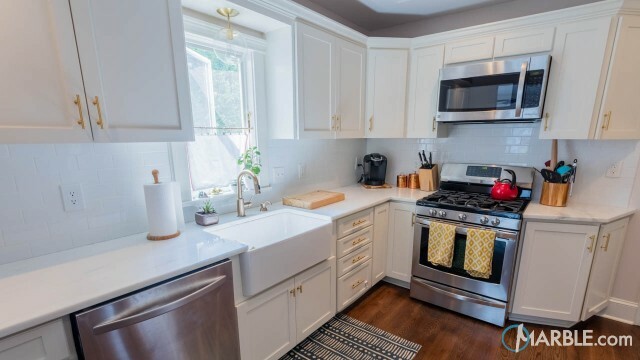 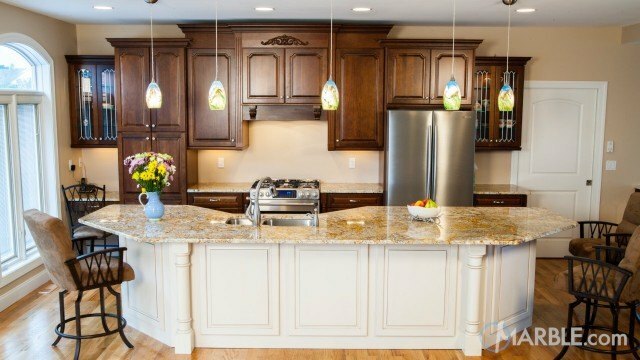 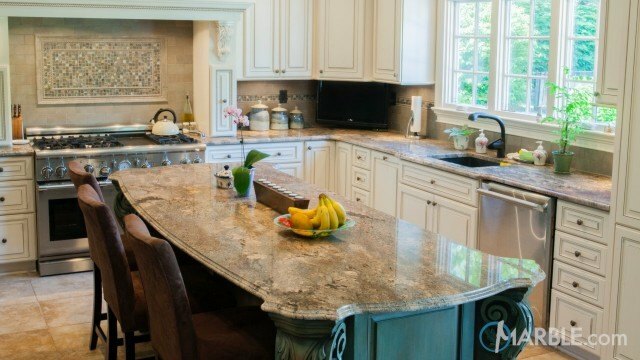 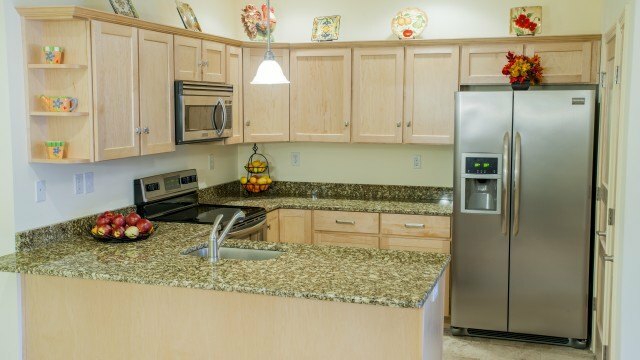 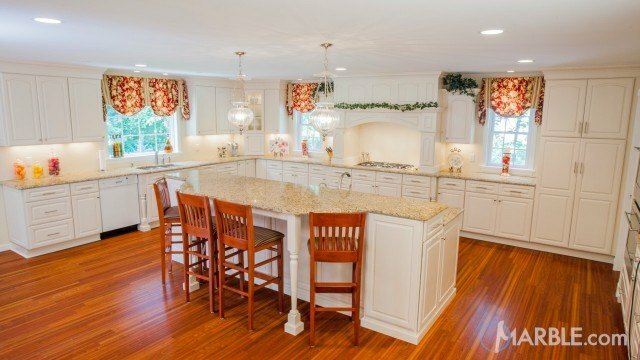 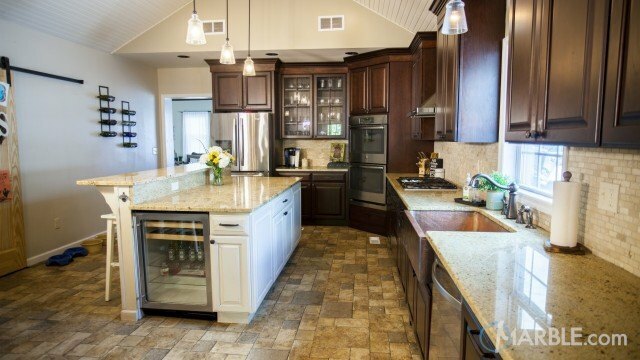 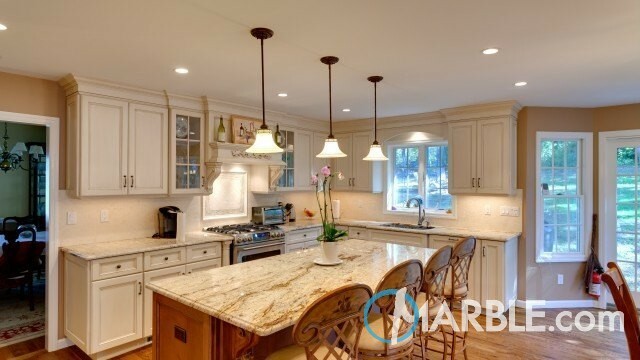 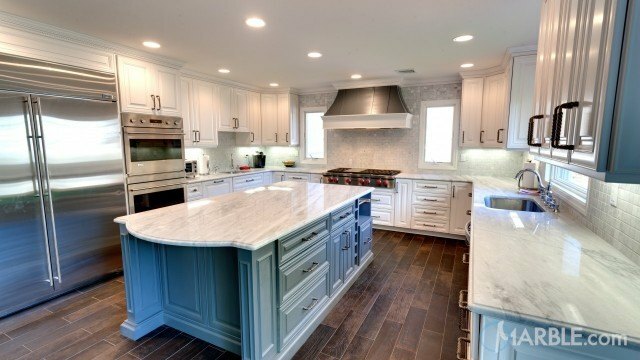 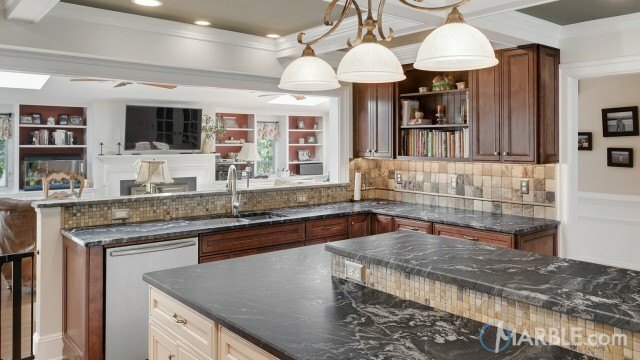 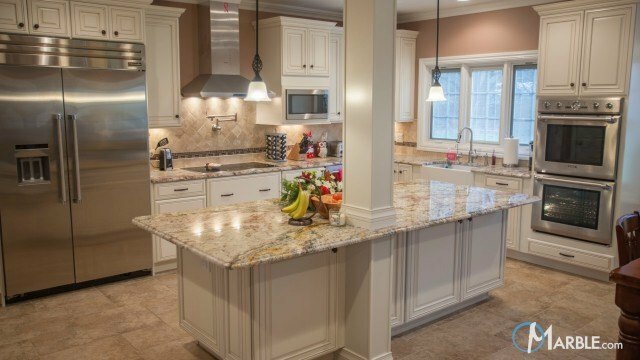 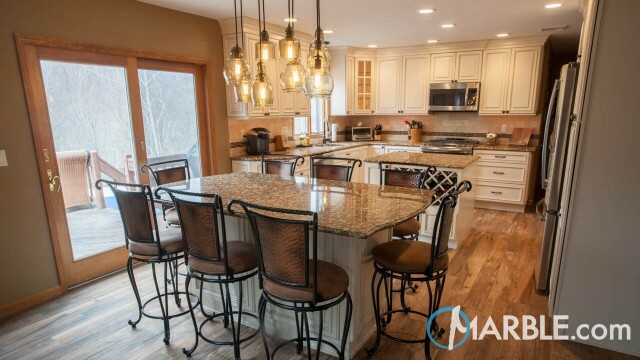 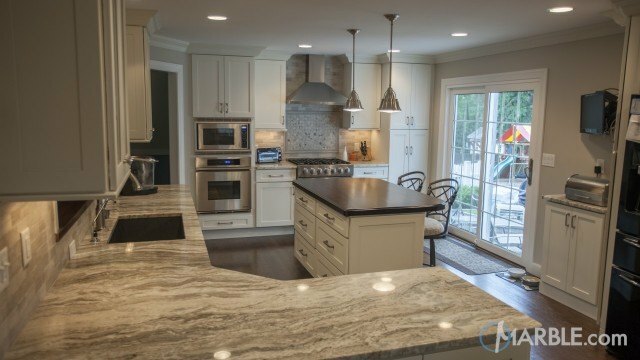 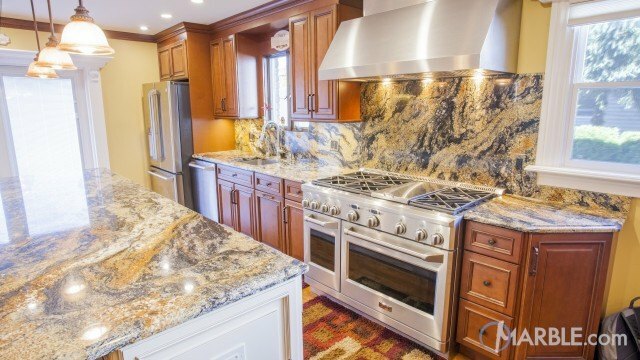 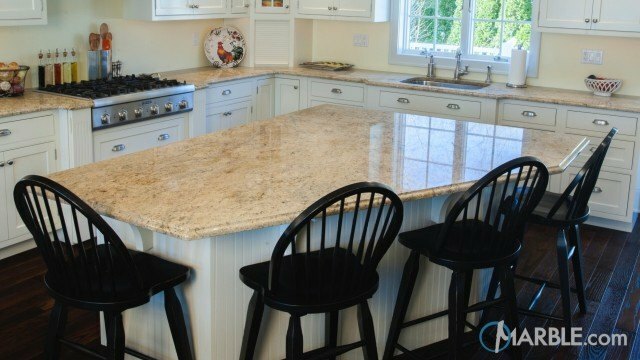 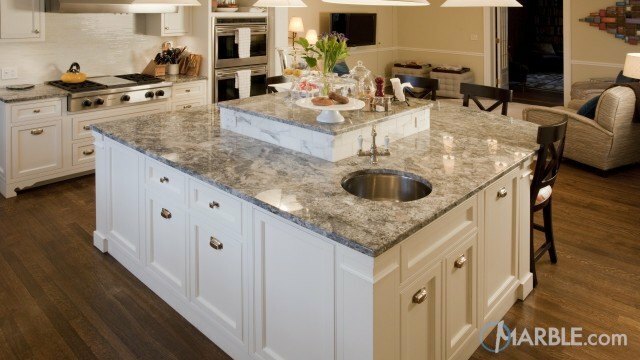 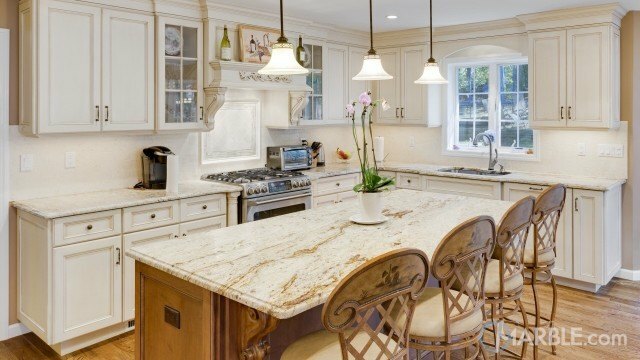 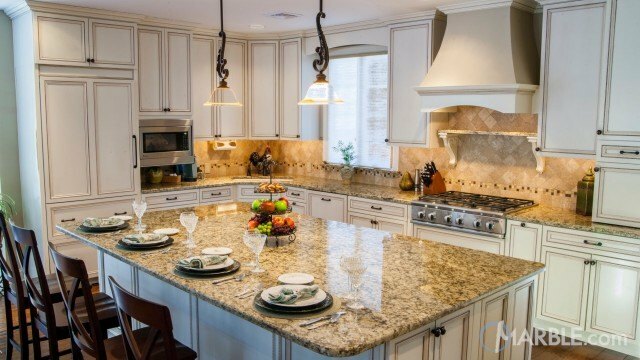 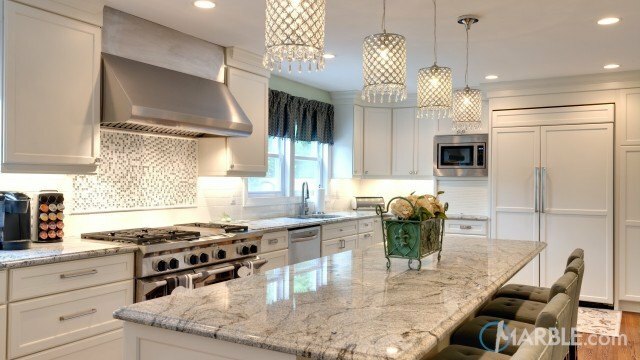 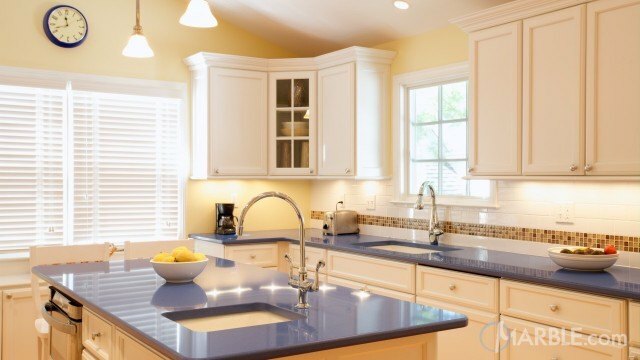 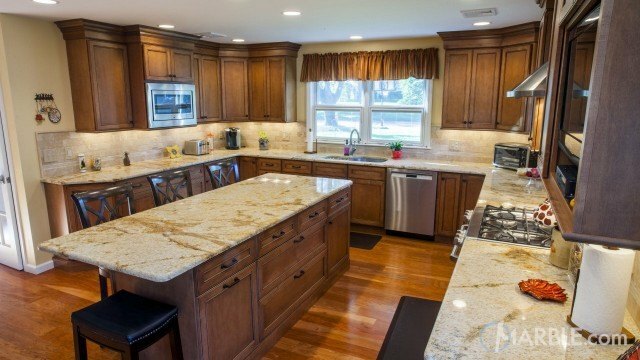 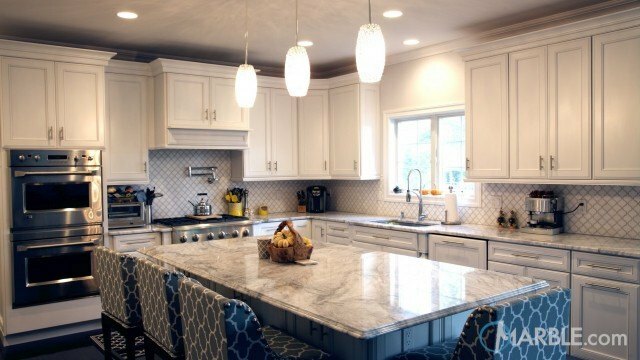 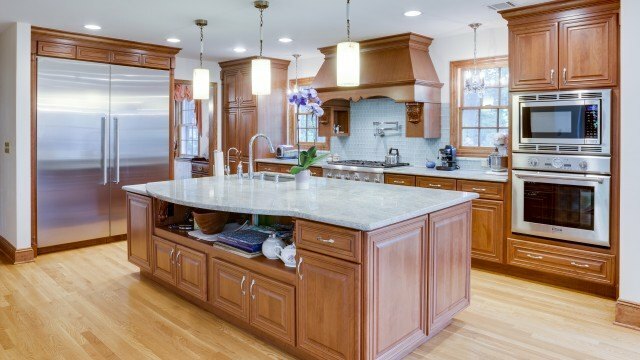 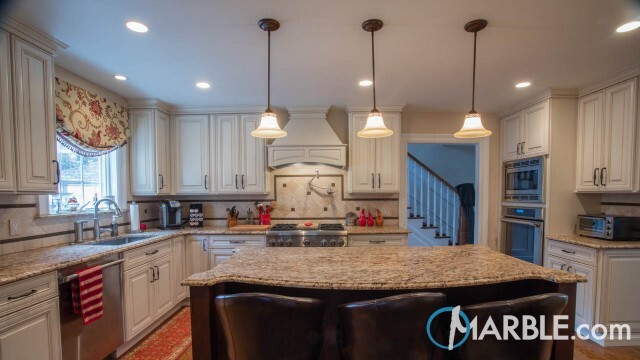 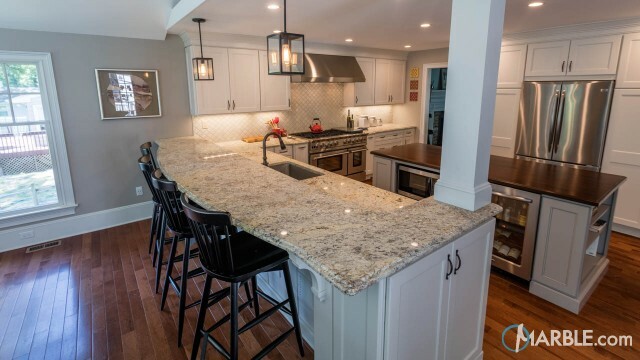 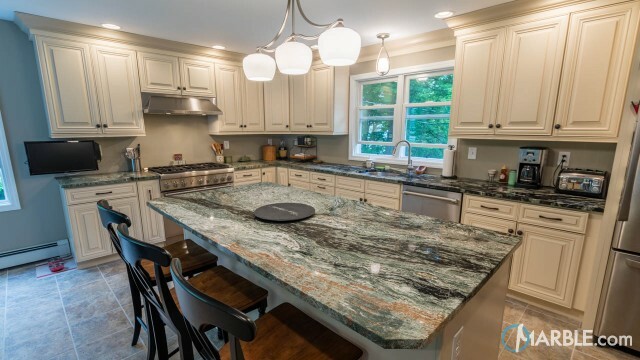 The light colors of the cabinets and Ivory Gold granite make for an open airy feel. 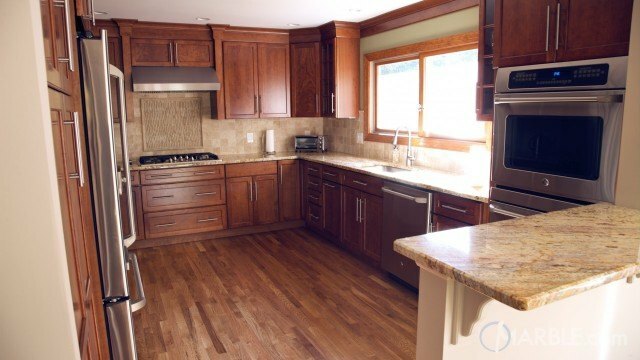 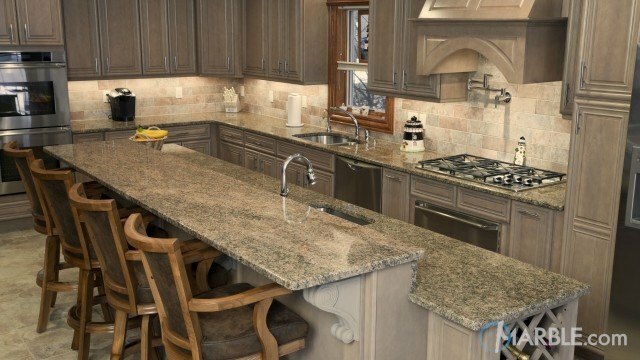 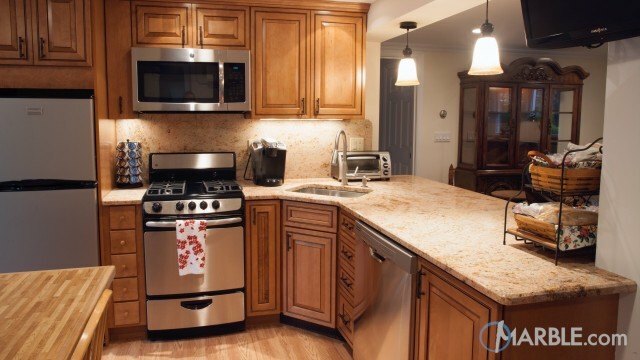 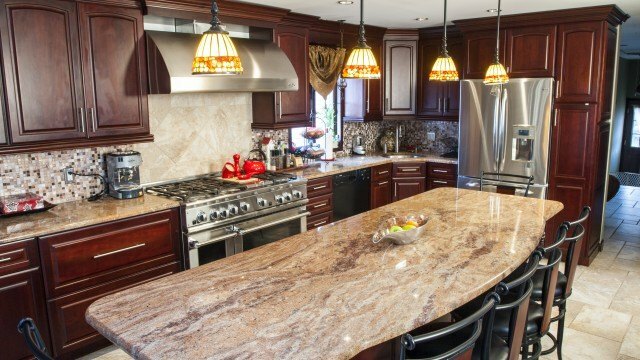 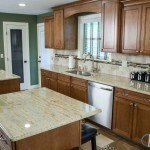 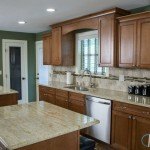 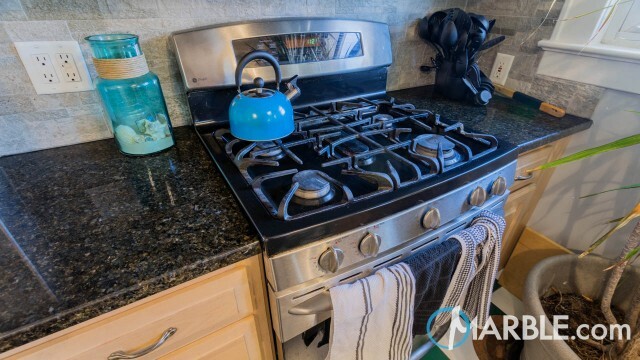 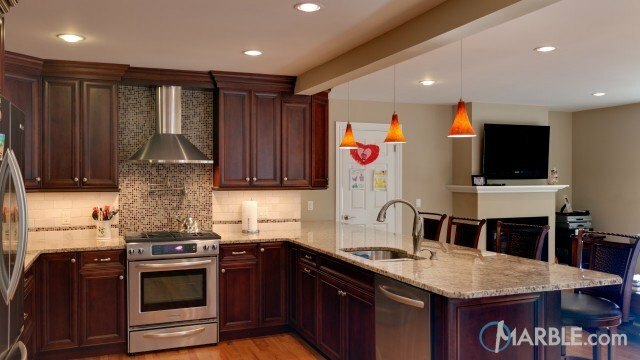 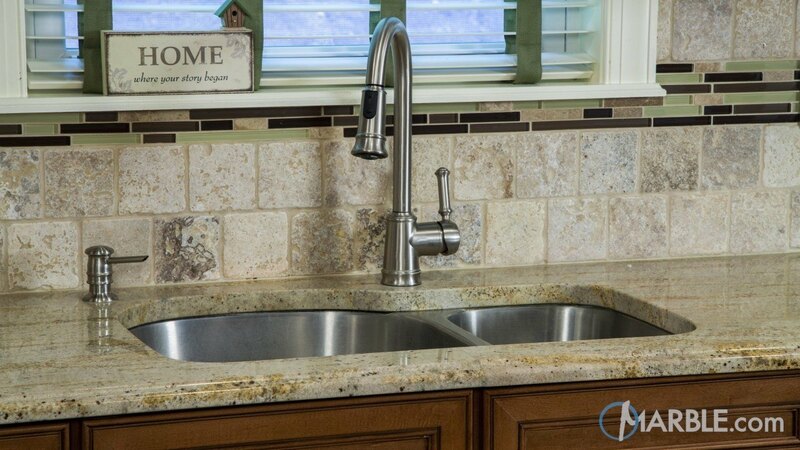 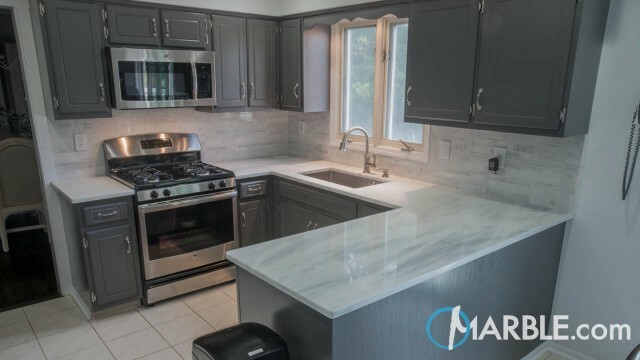 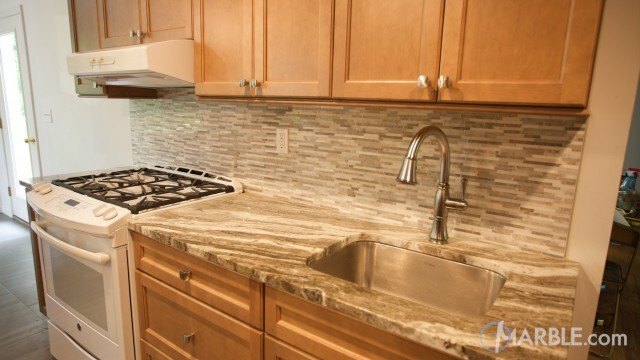 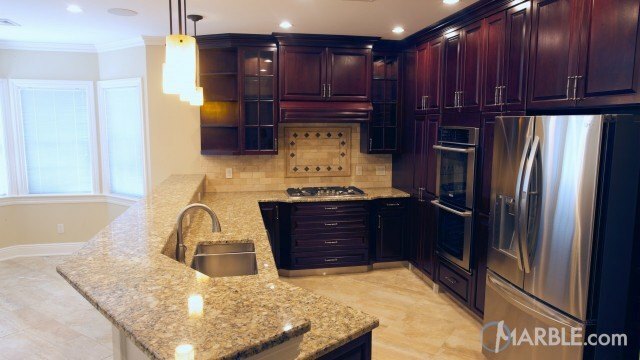 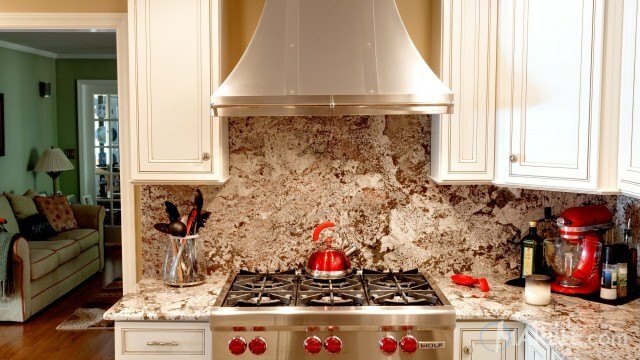 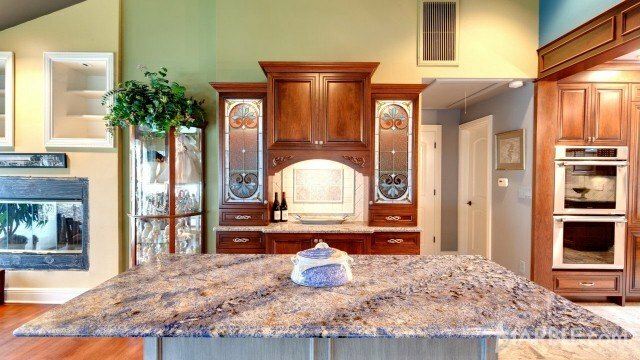 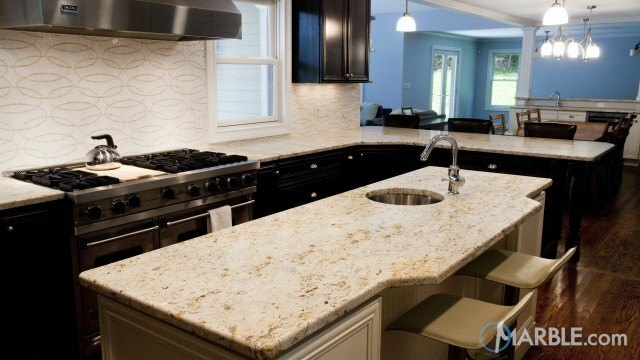 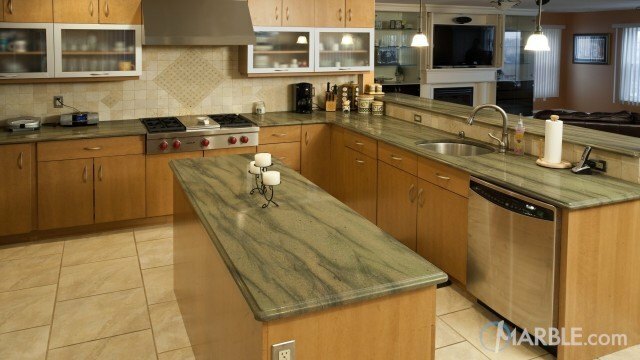 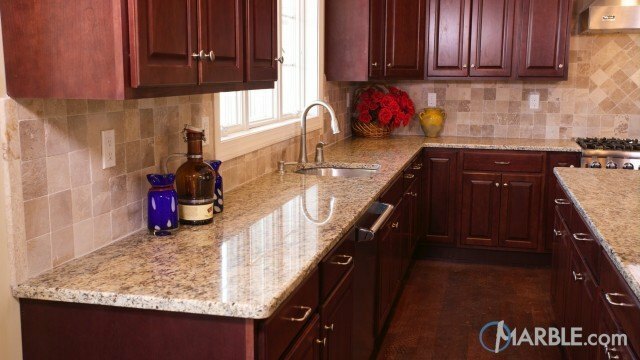 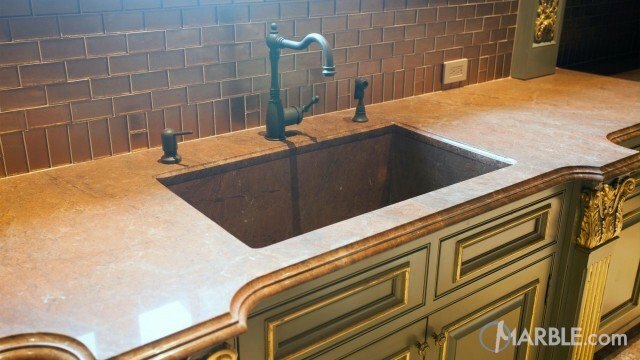 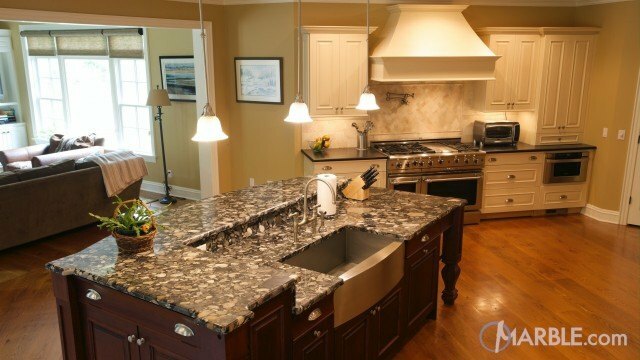 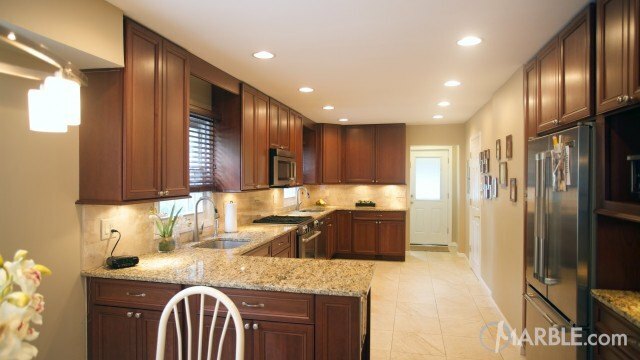 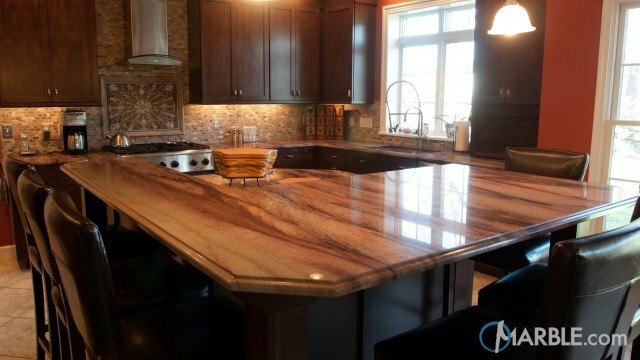 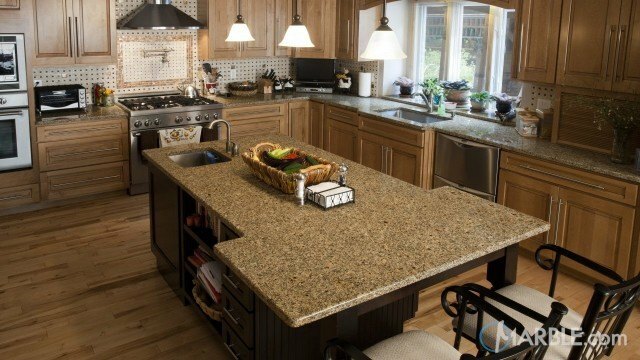 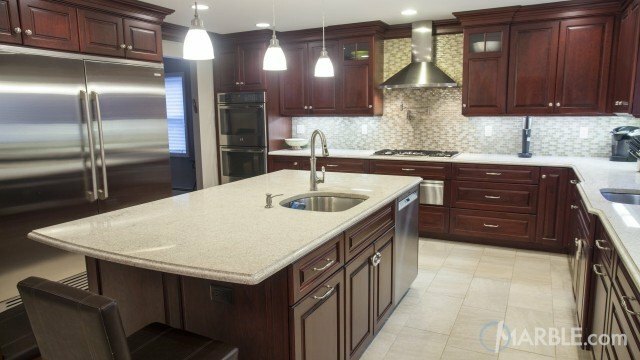 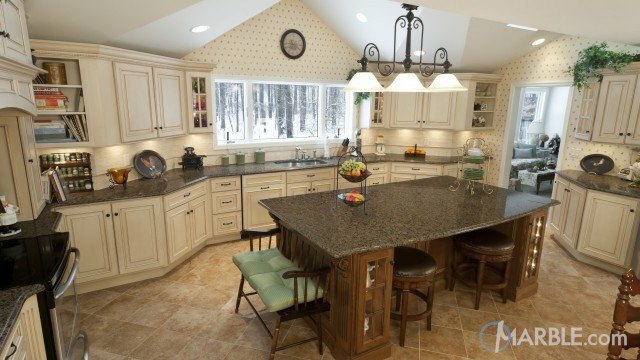 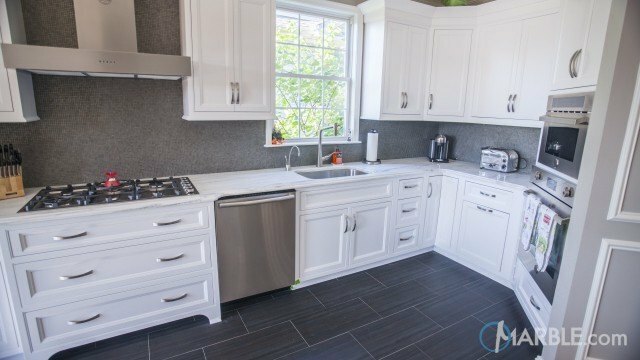 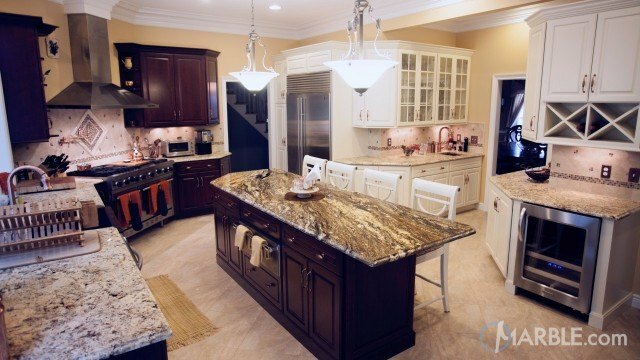 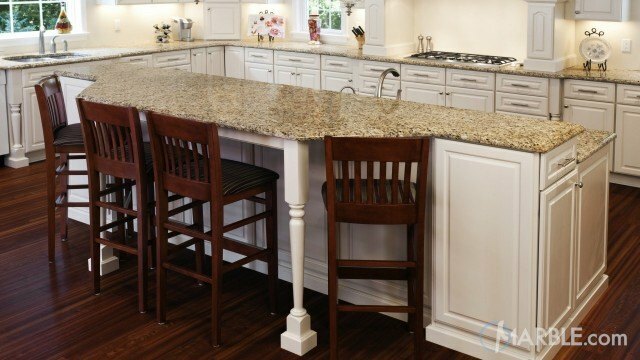 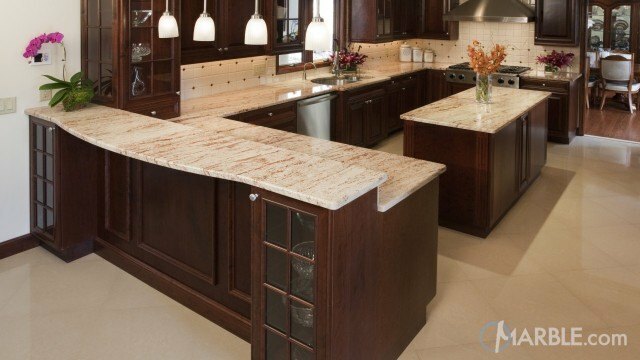 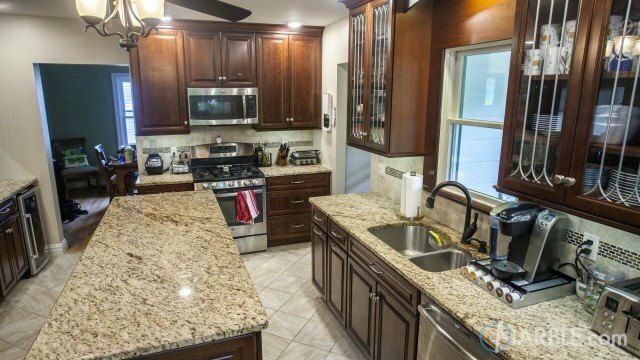 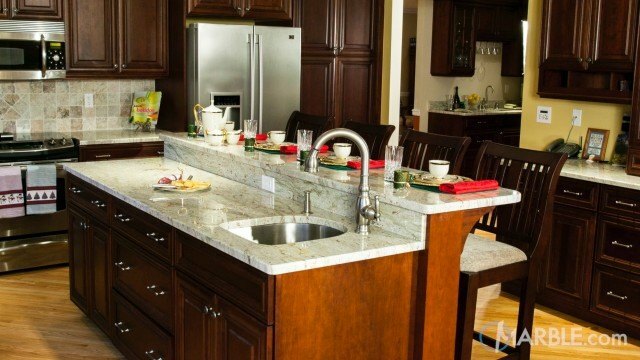 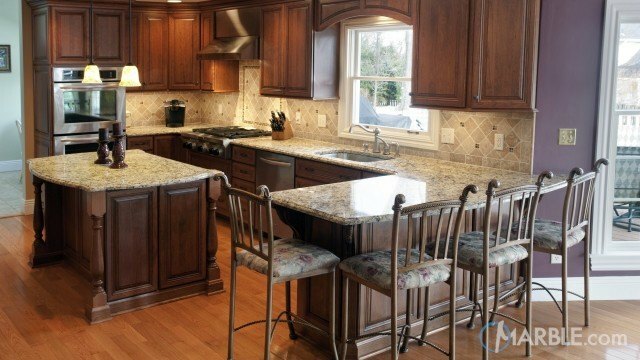 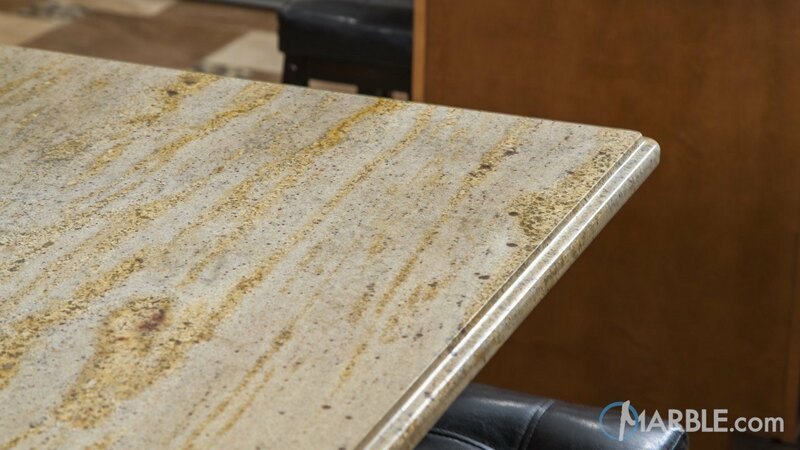 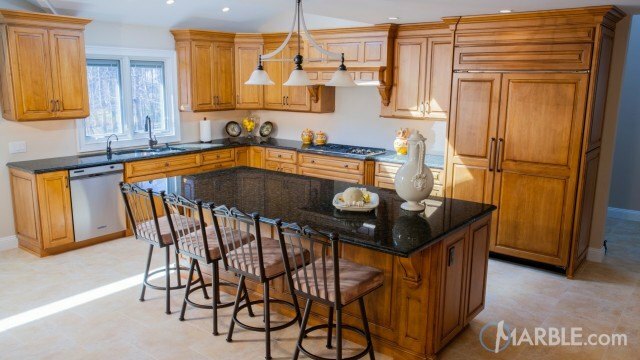 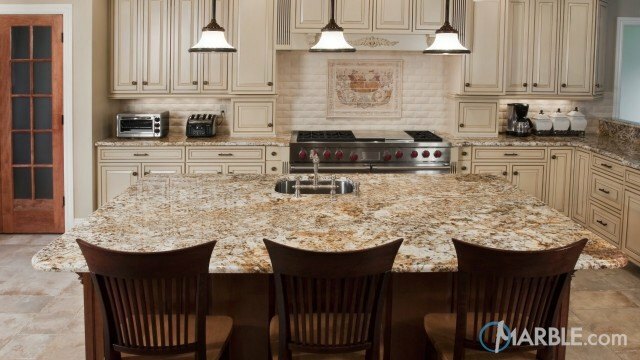 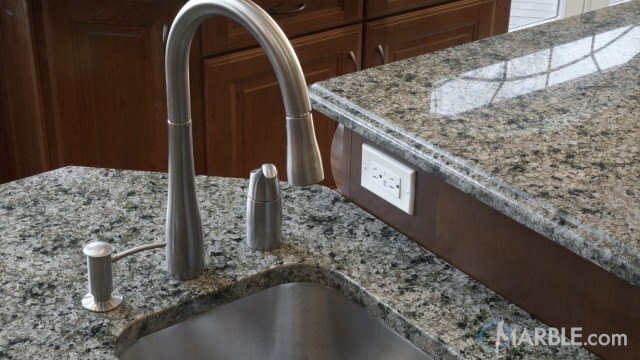 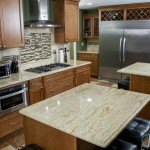 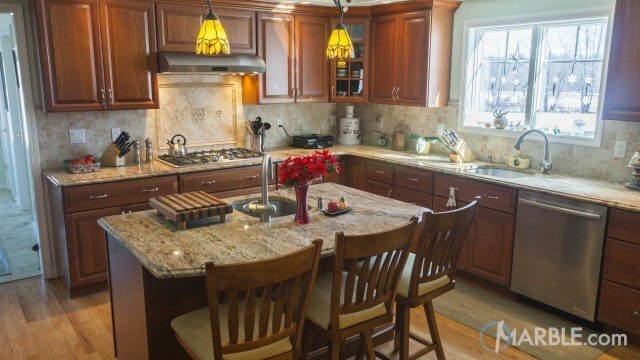 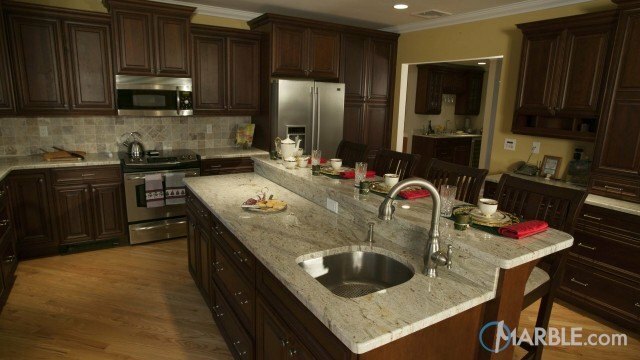 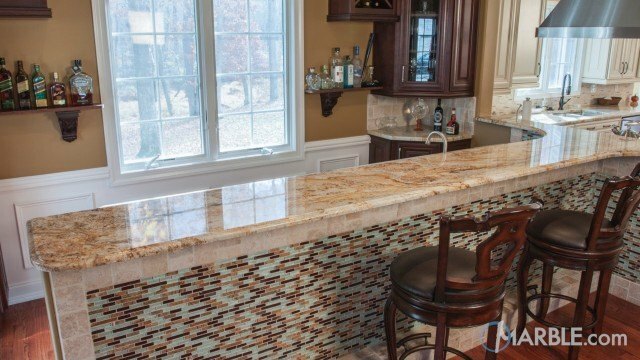 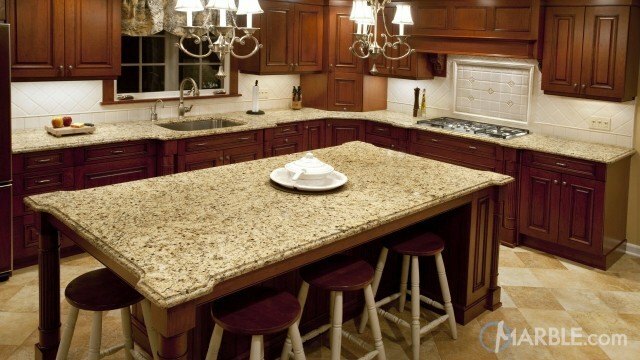 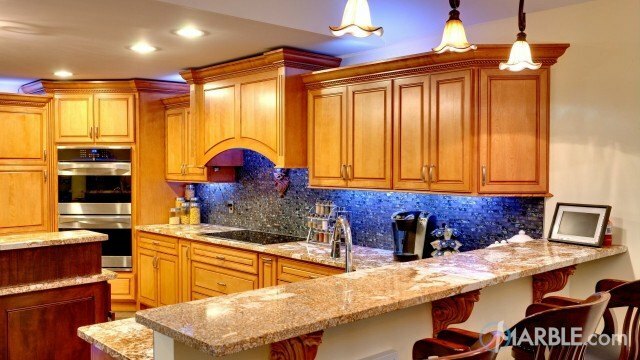 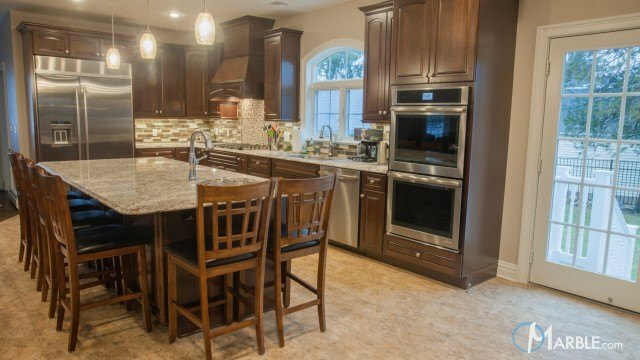 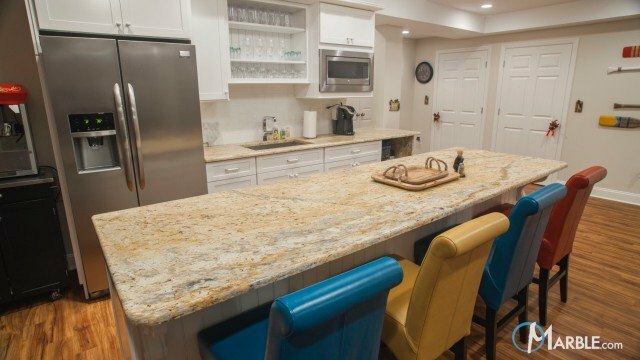 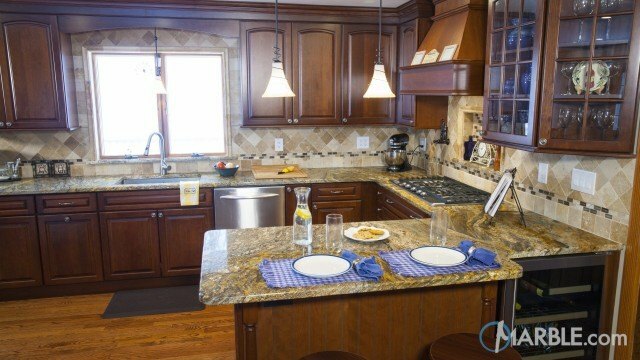 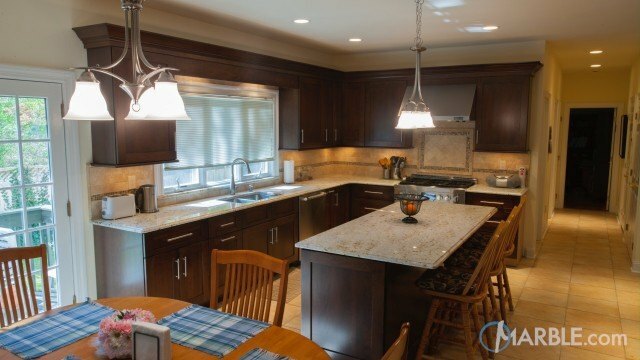 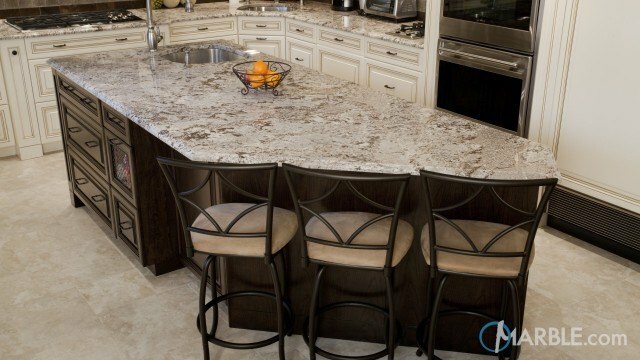 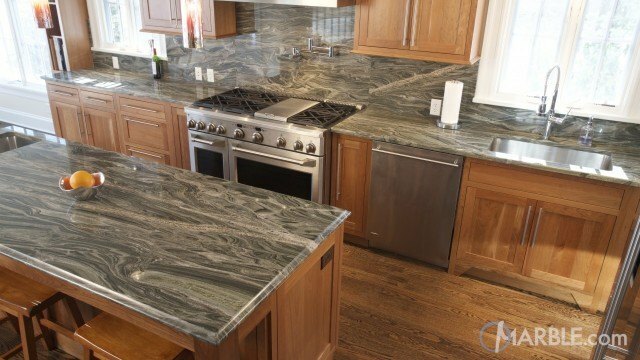 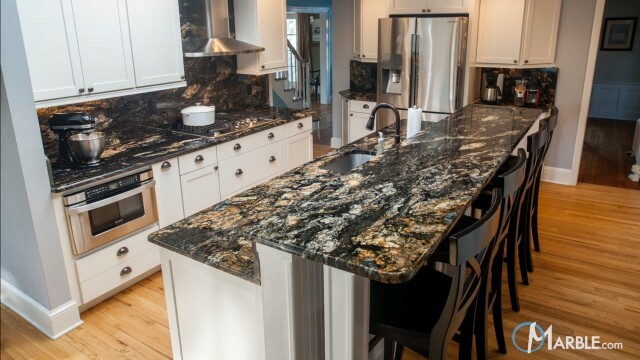 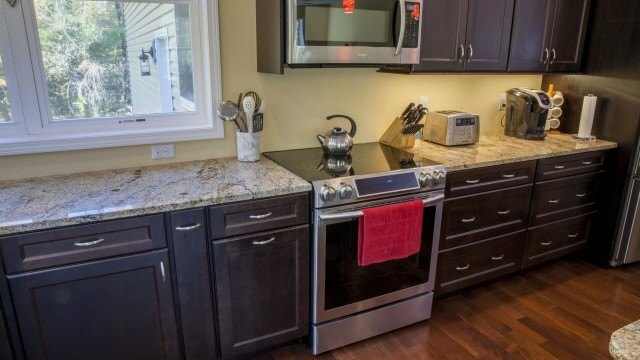 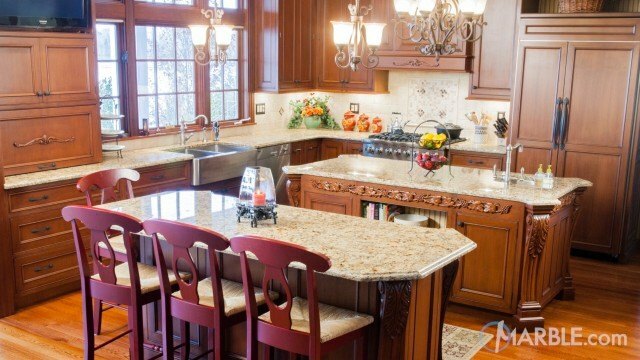 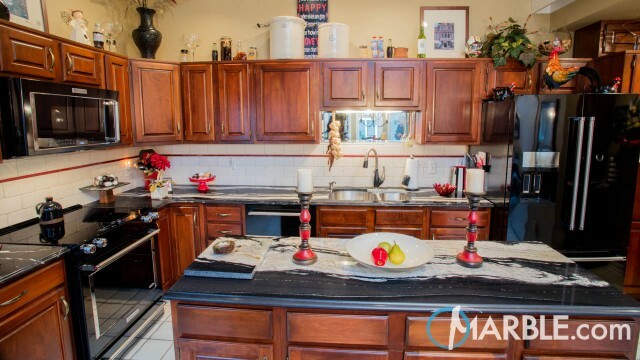 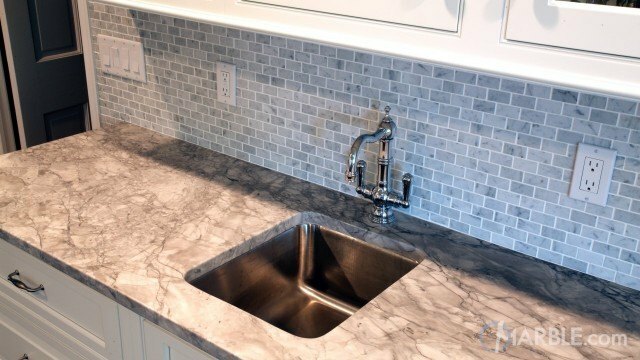 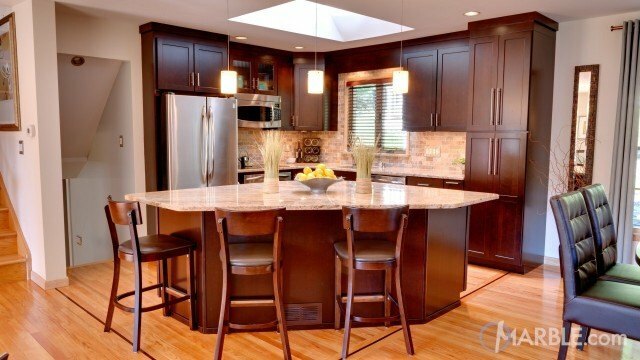 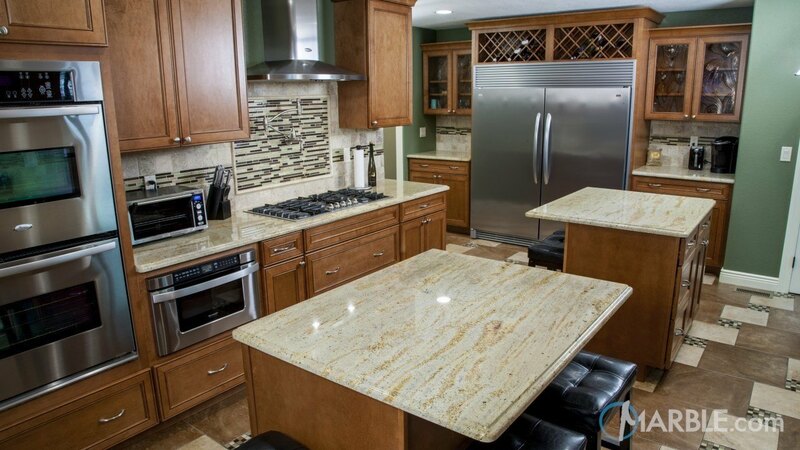 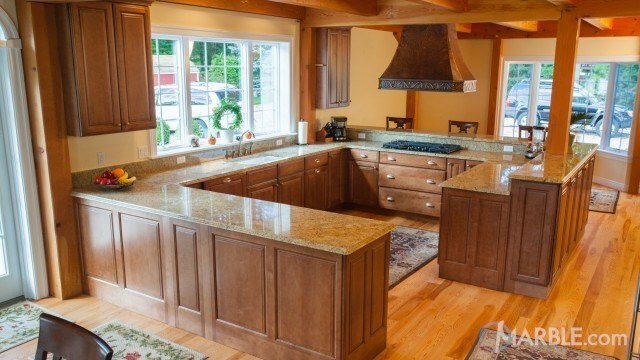 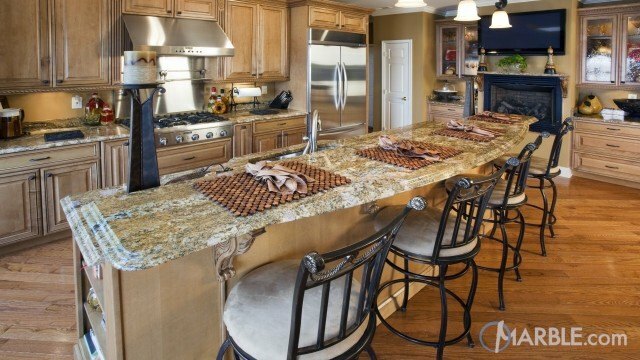 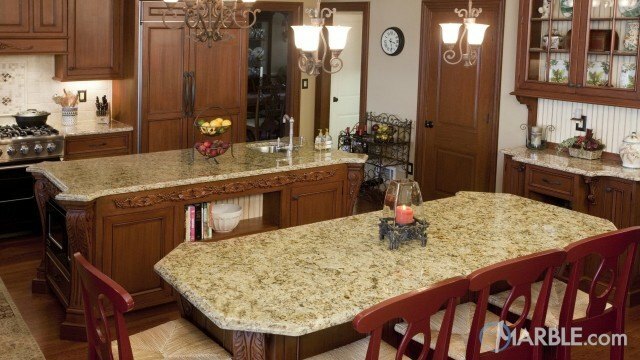 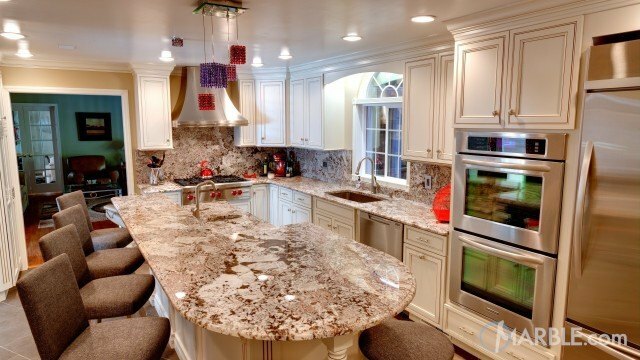 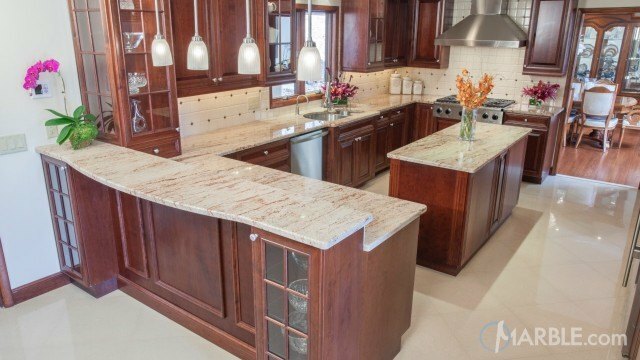 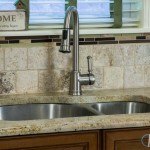 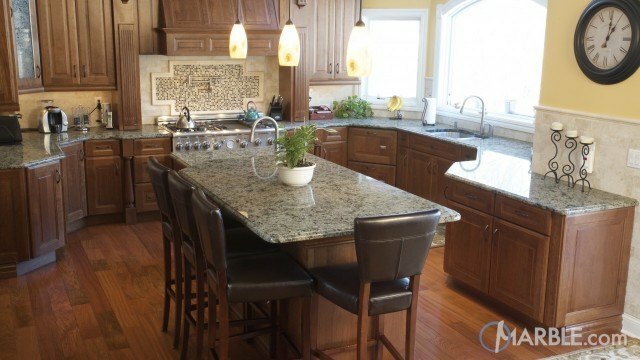 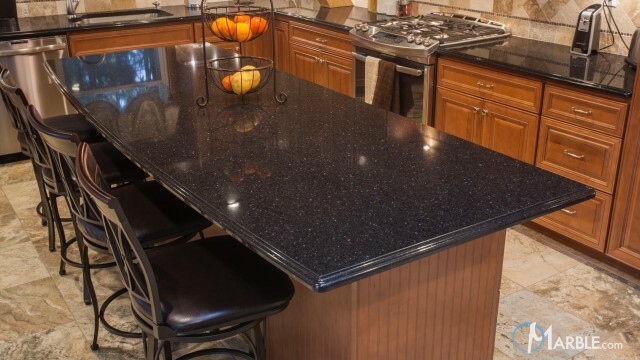 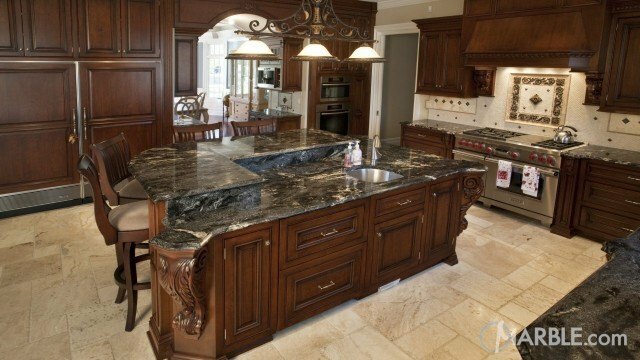 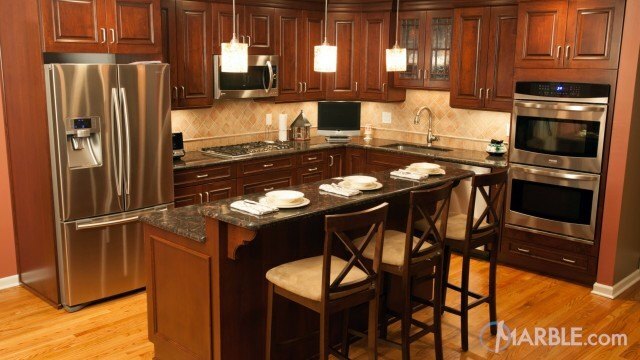 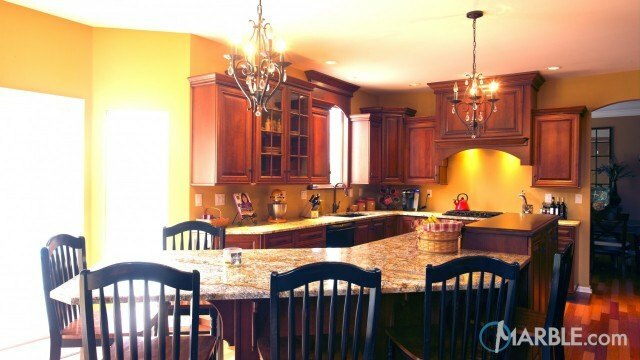 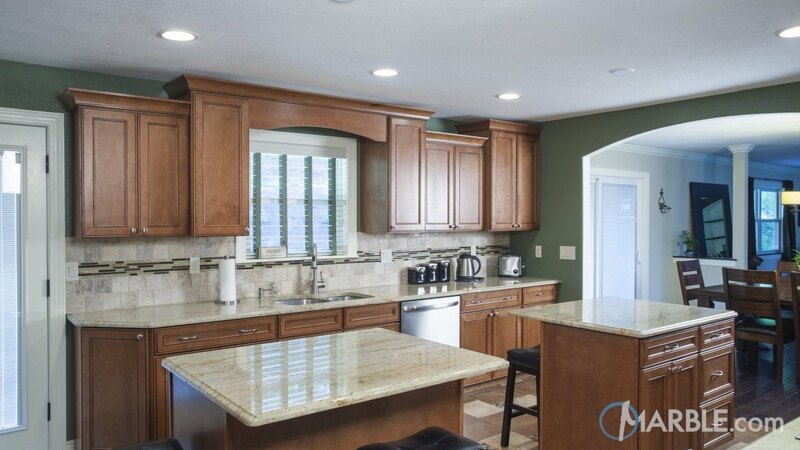 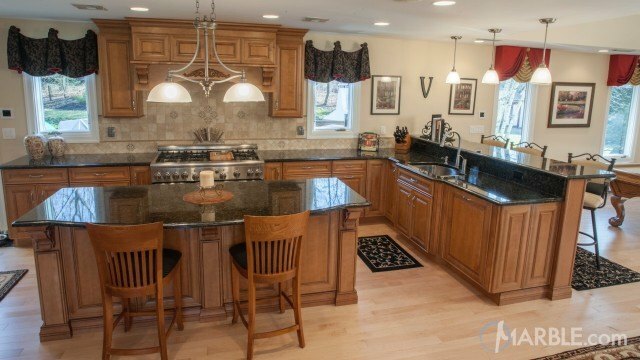 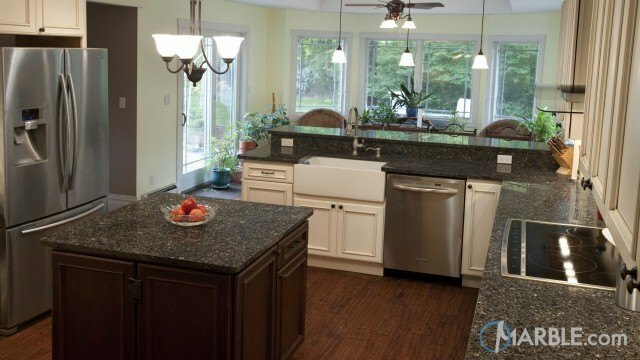 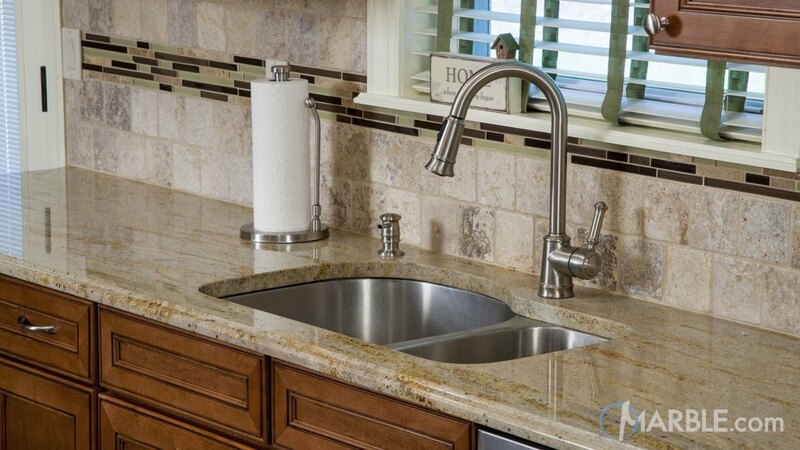 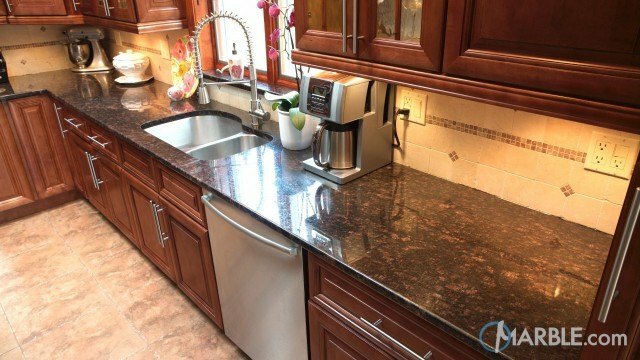 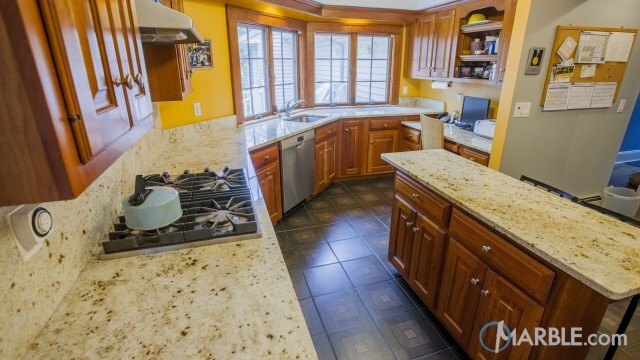 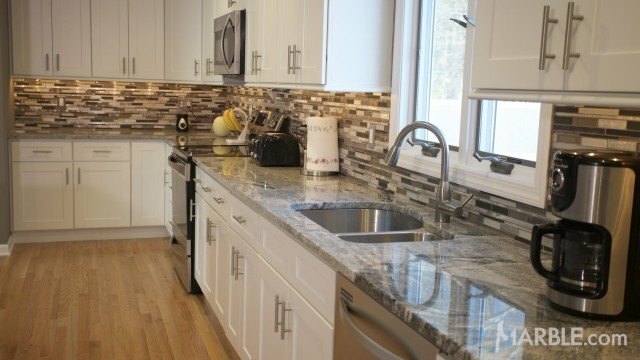 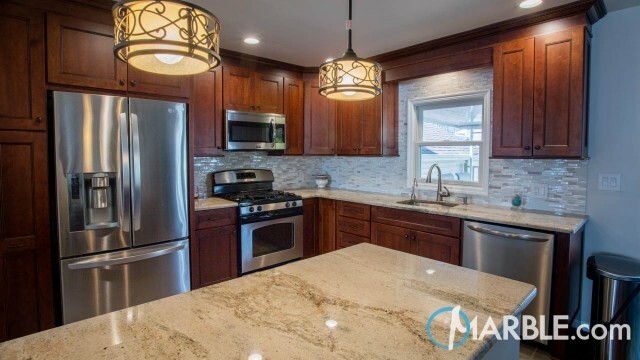 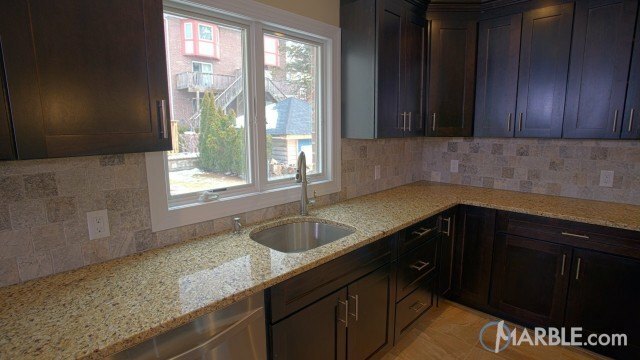 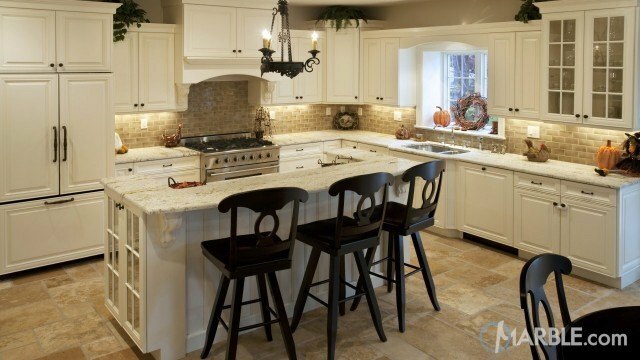 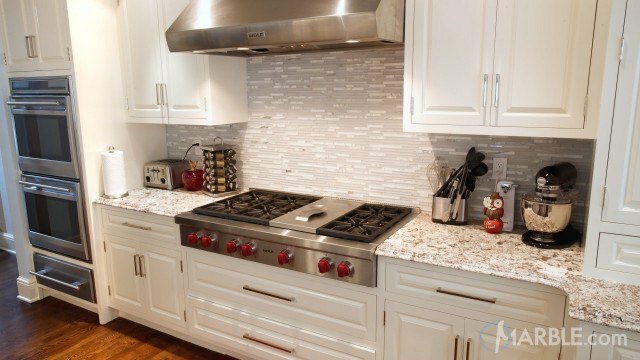 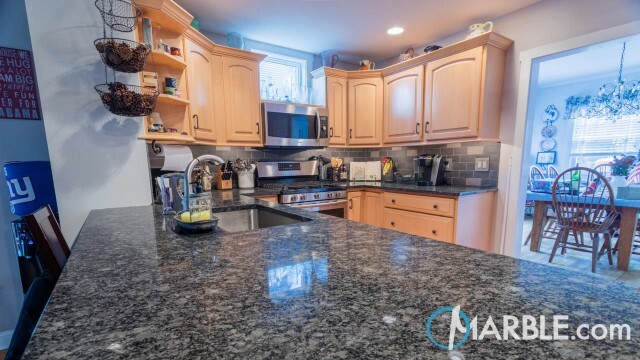 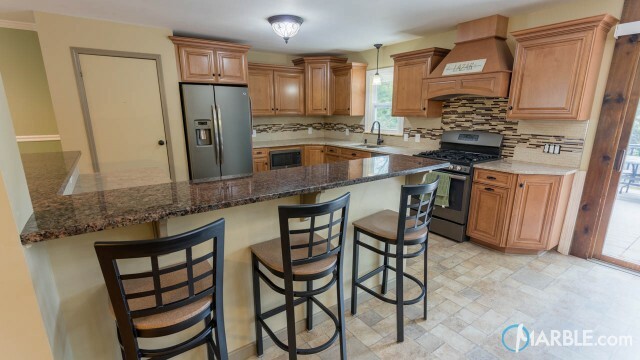 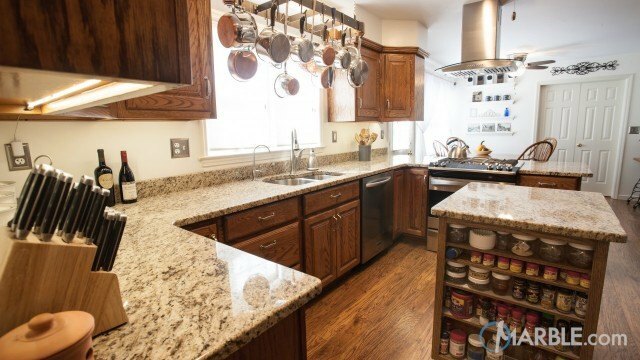 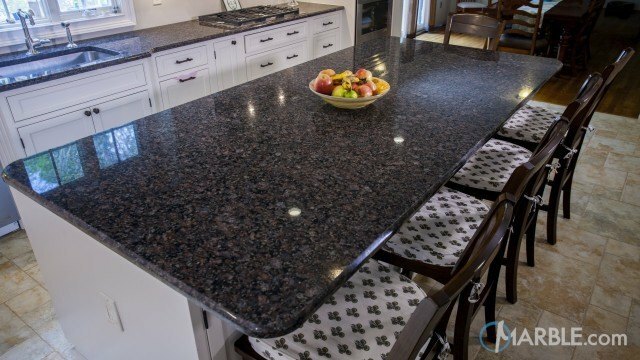 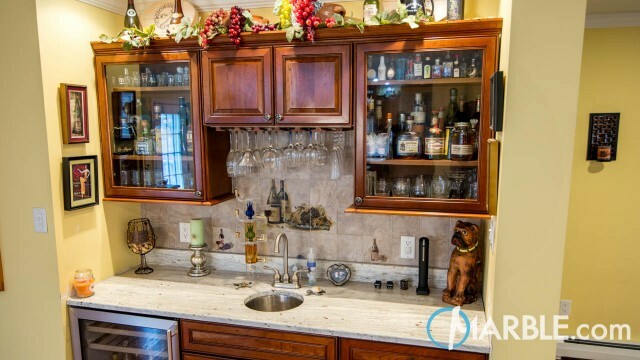 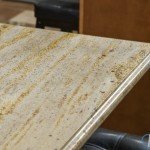 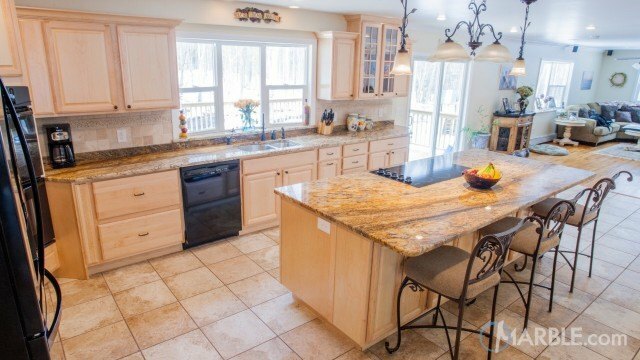 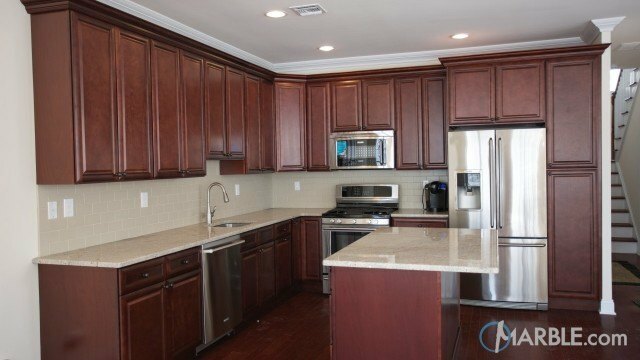 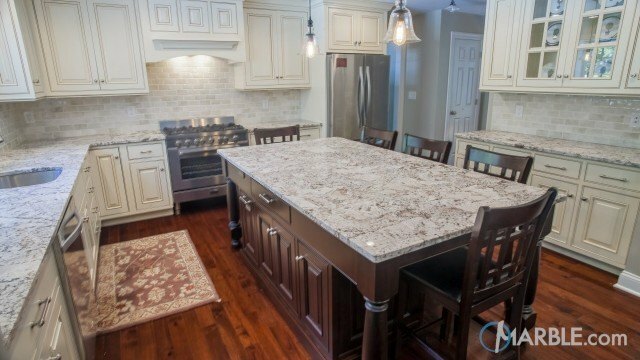 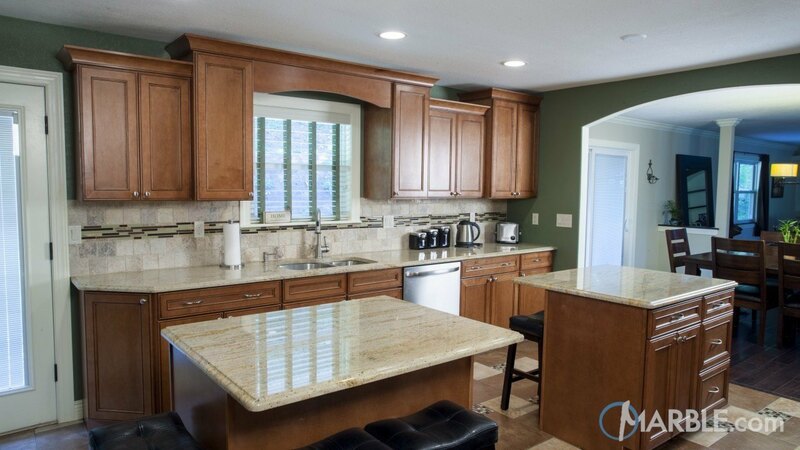 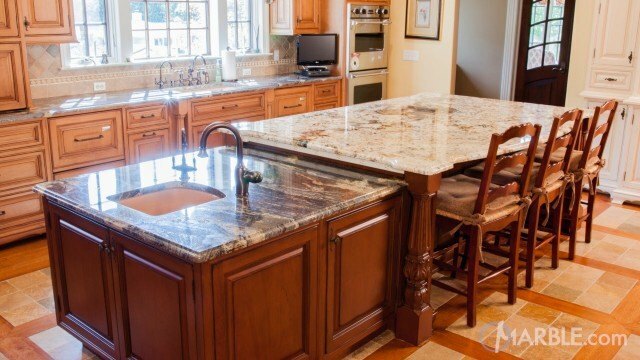 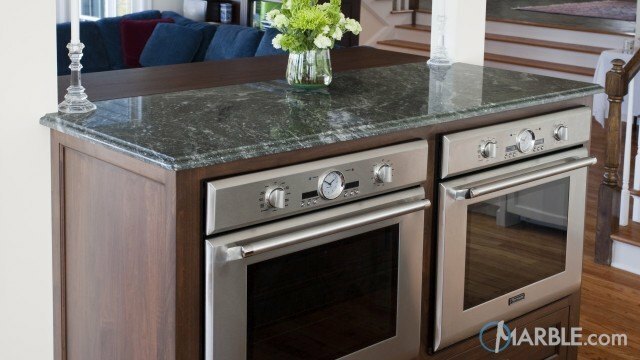 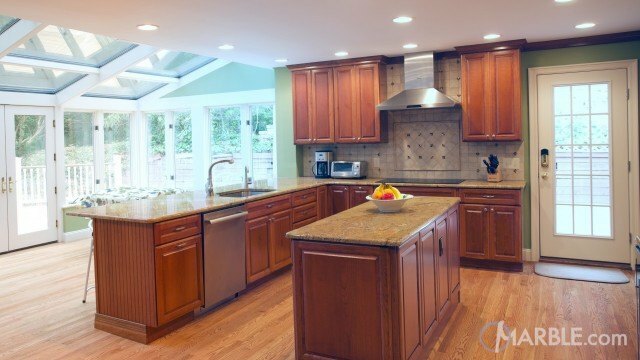 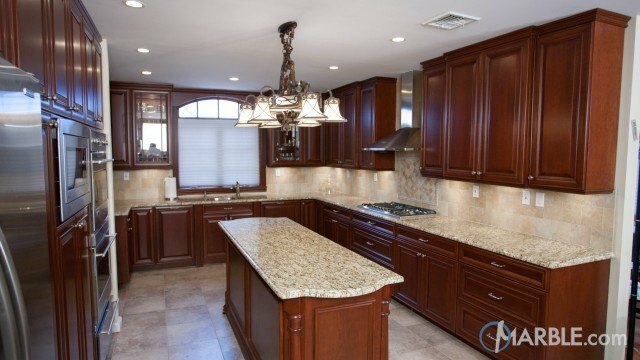 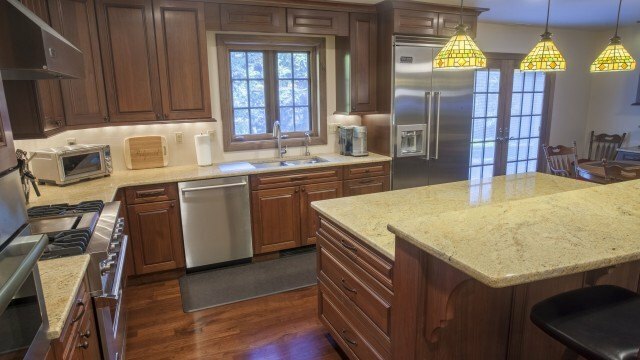 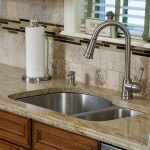 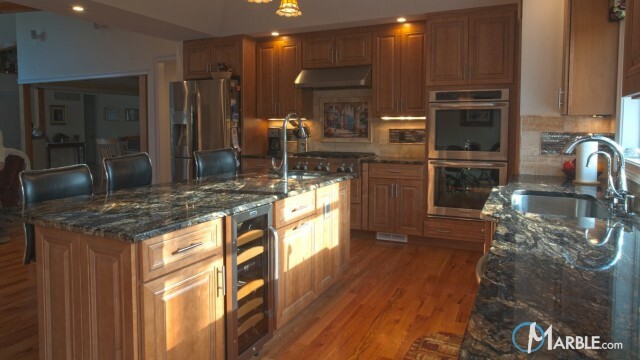 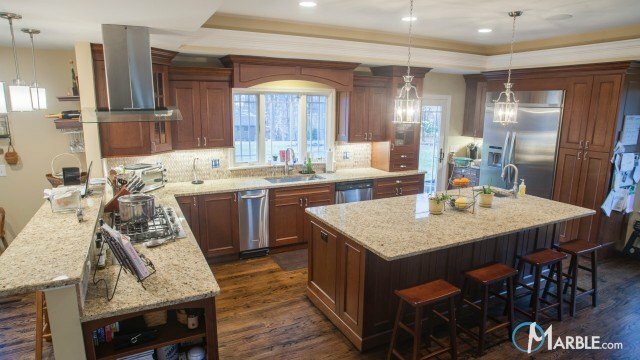 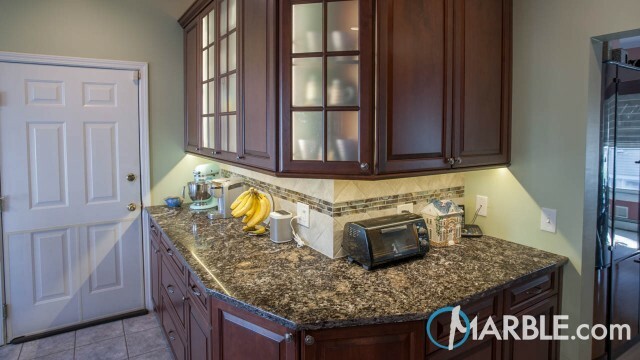 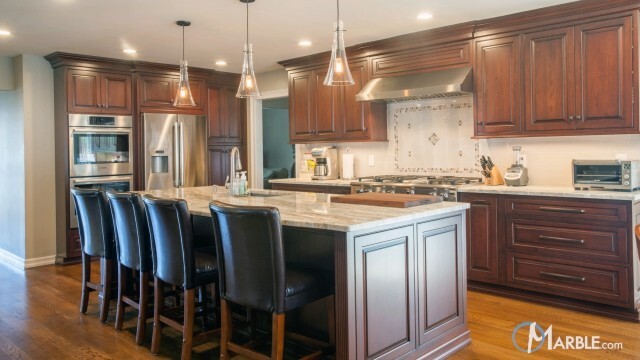 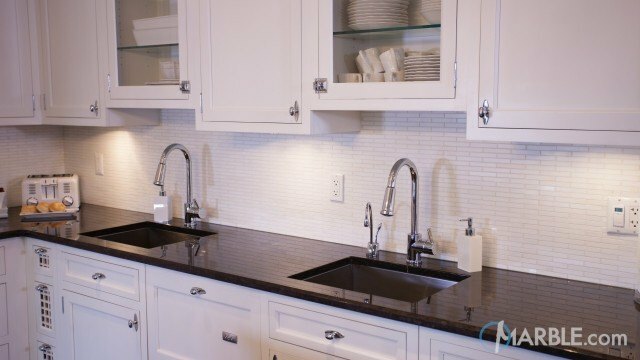 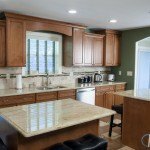 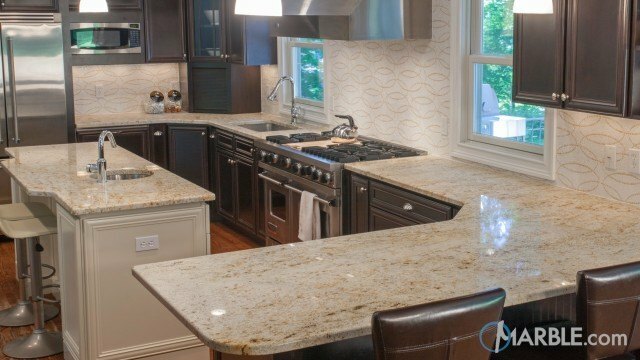 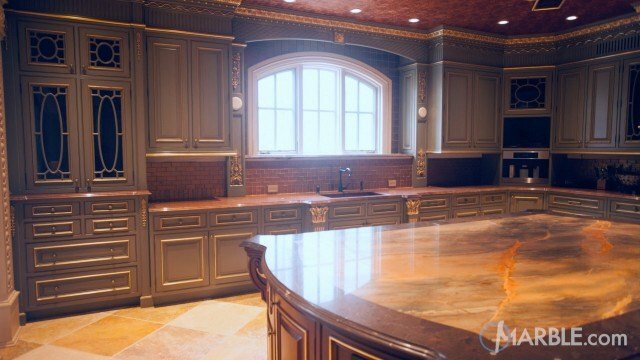 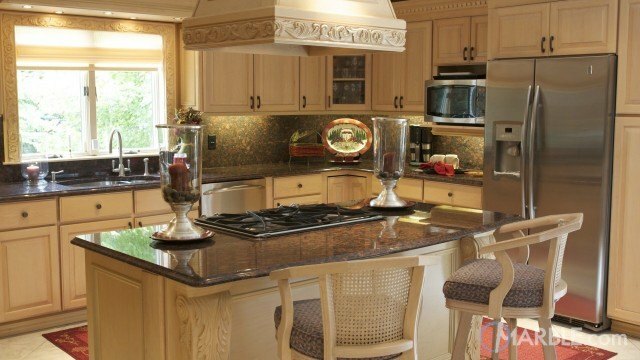 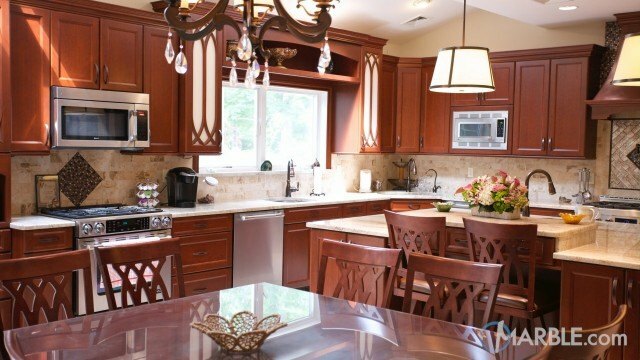 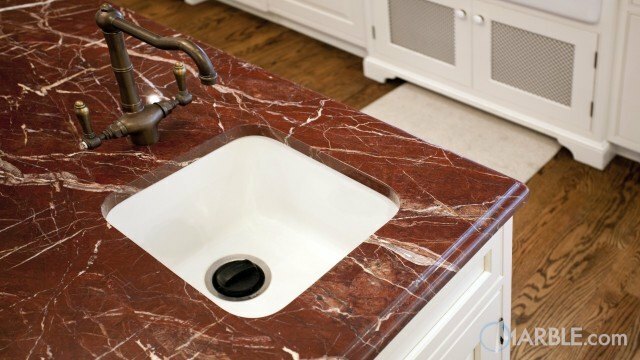 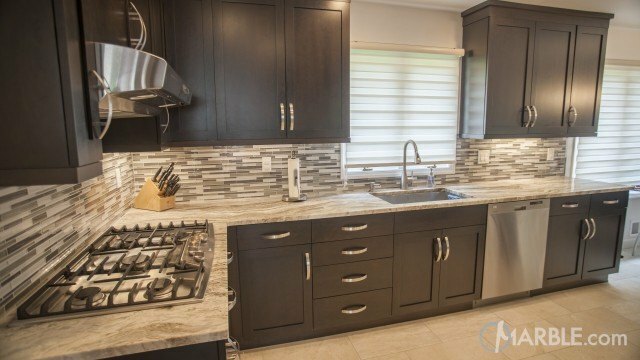 The brown cabinet color is a great match for the veins and speckles of the counter tops. 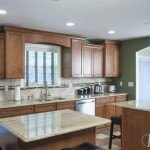 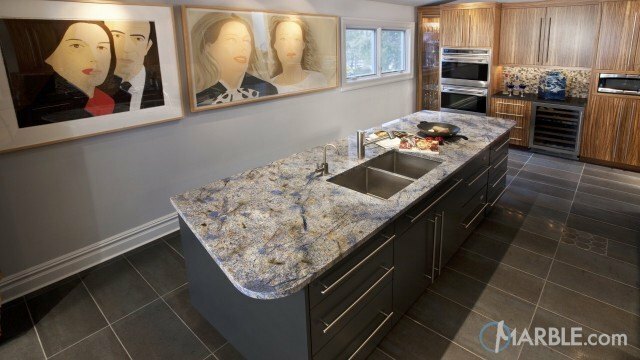 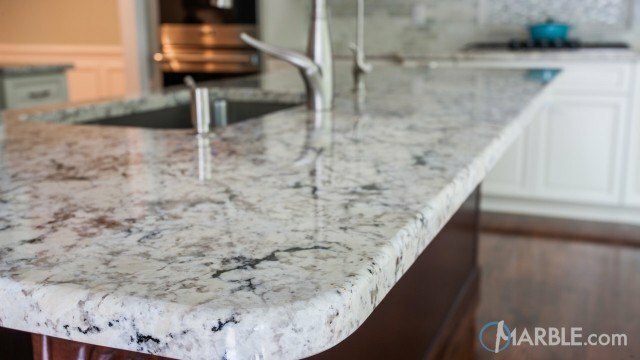 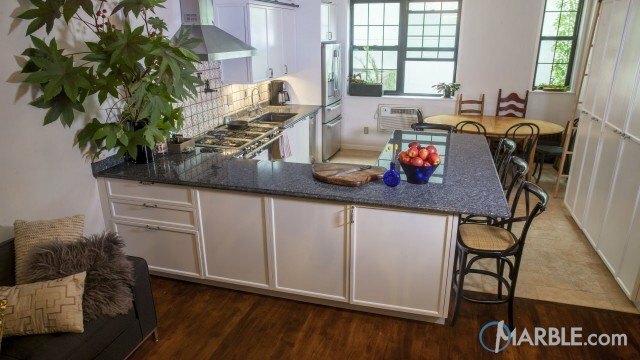 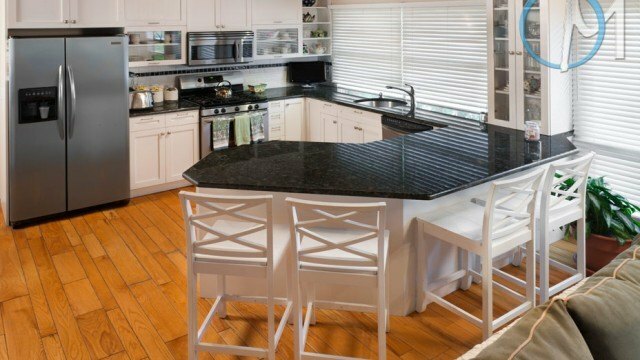 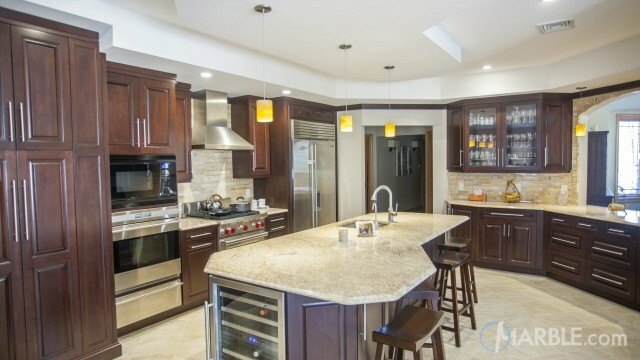 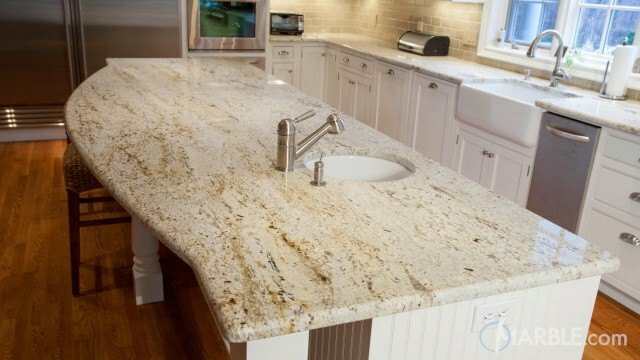 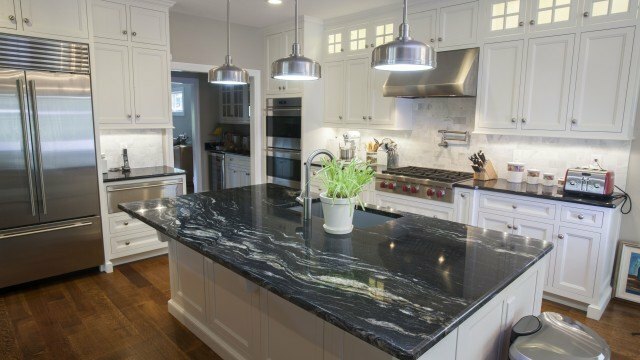 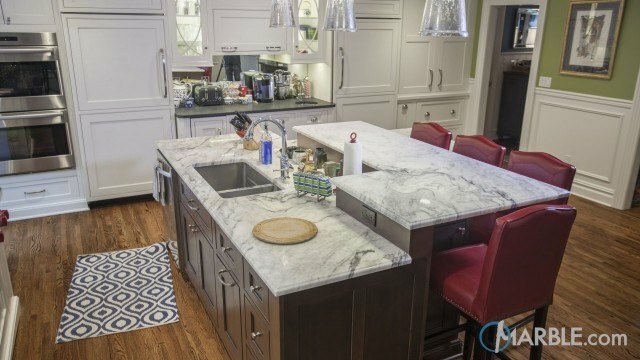 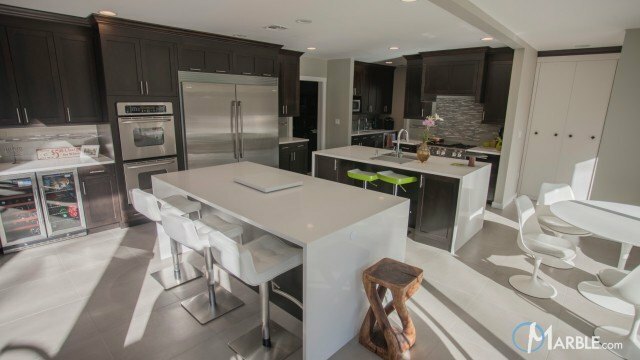 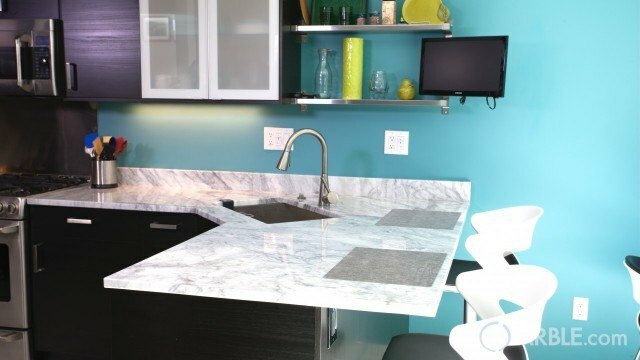 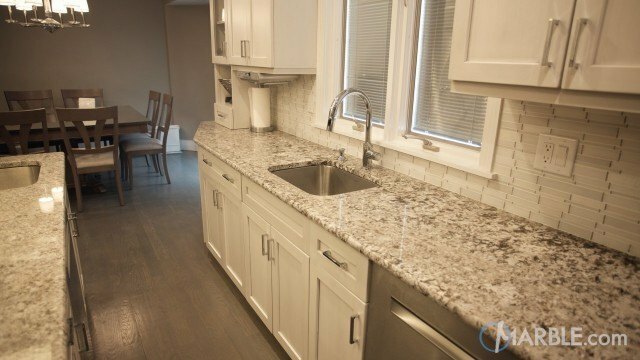 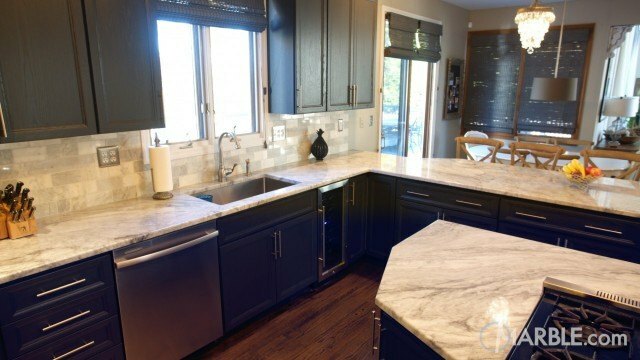 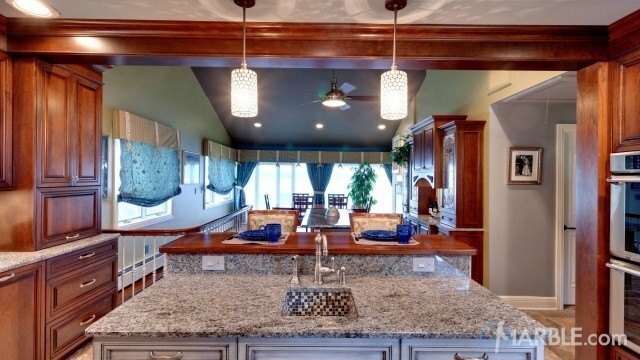 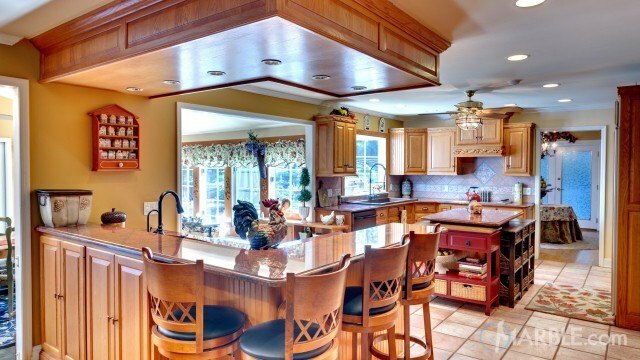 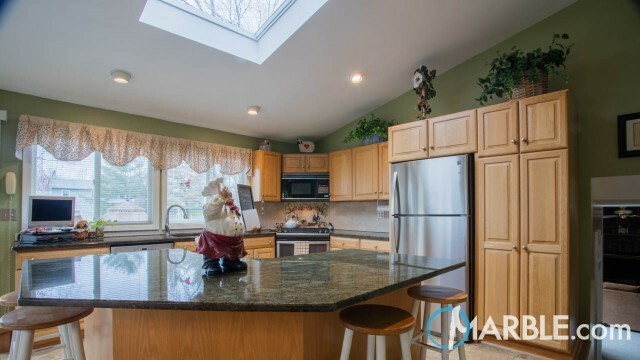 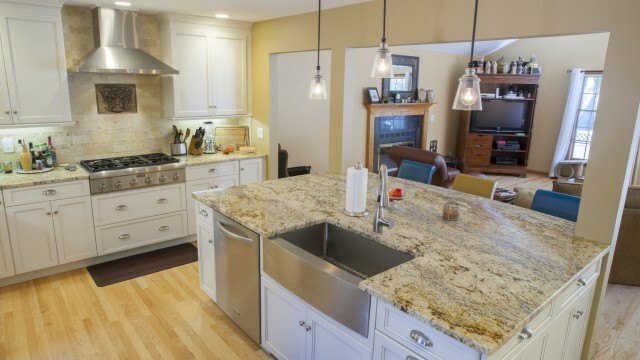 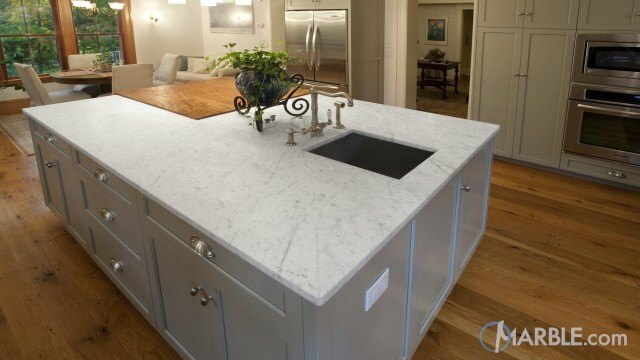 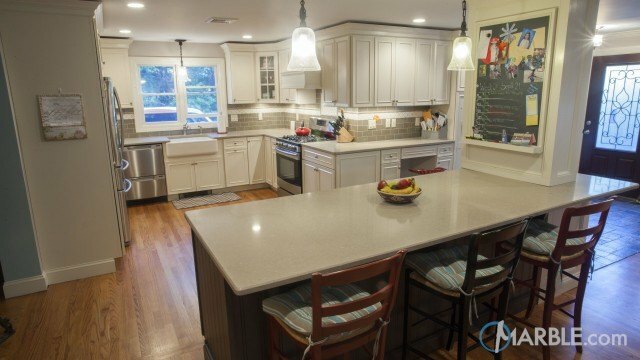 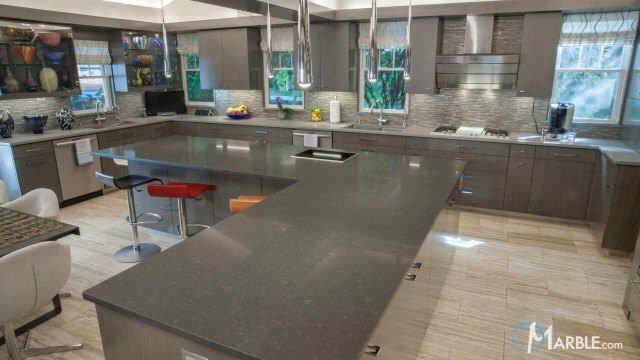 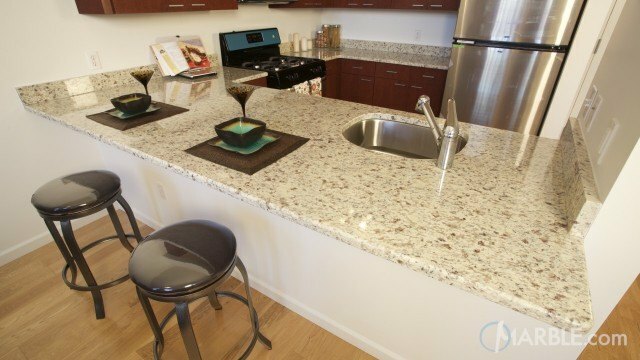 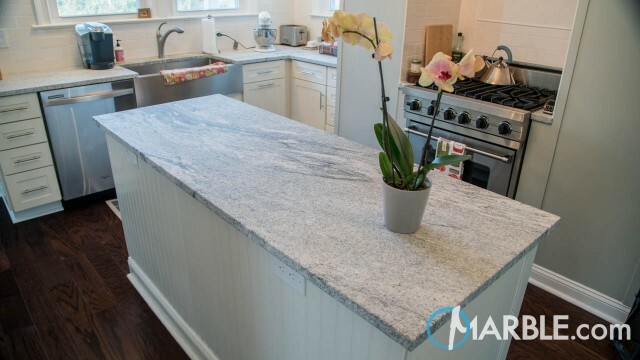 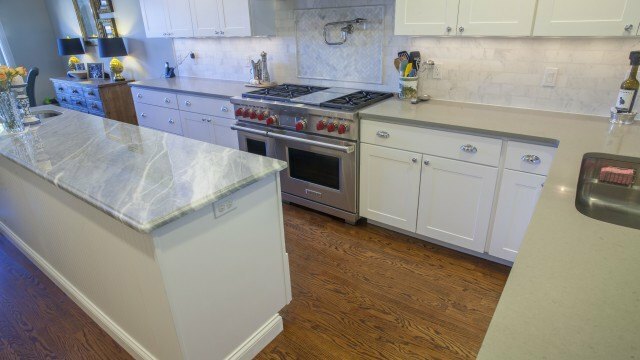 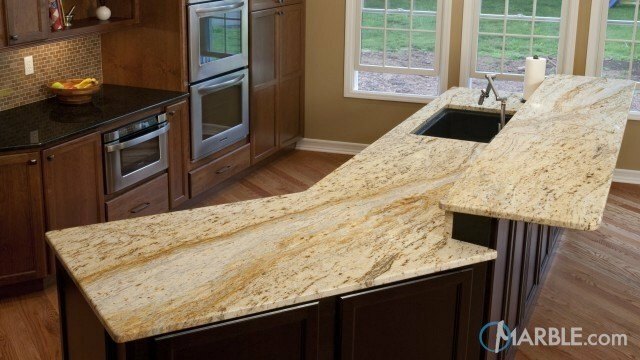 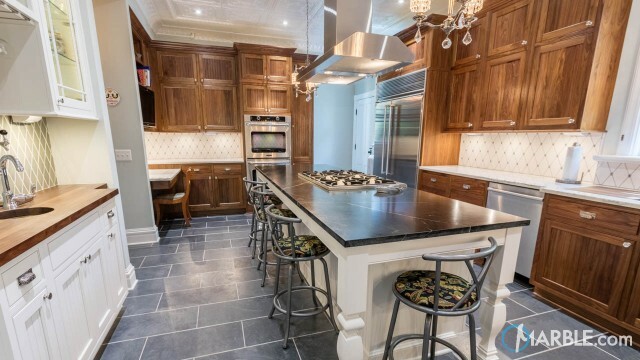 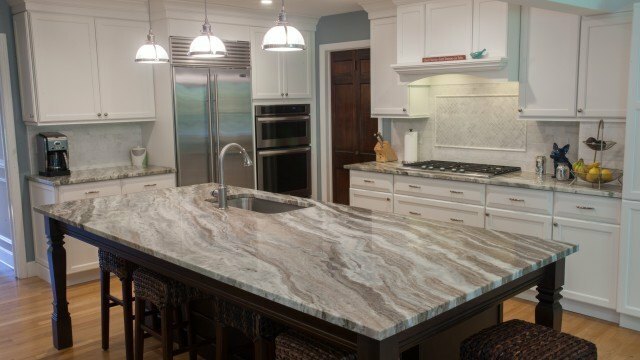 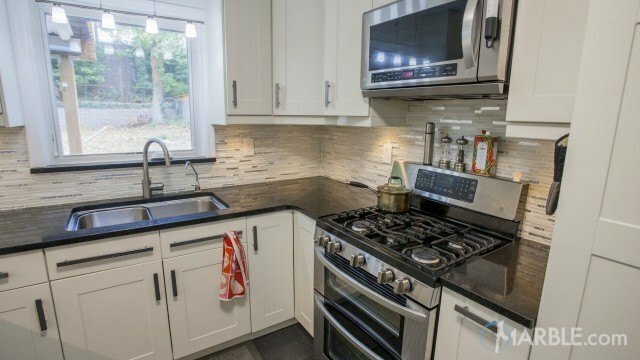 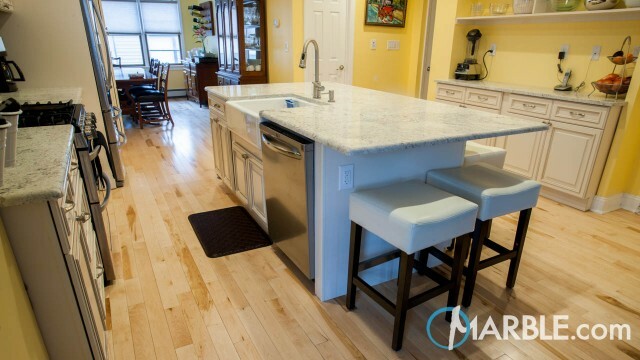 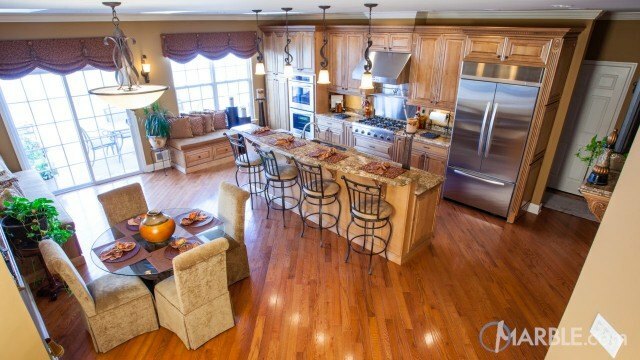 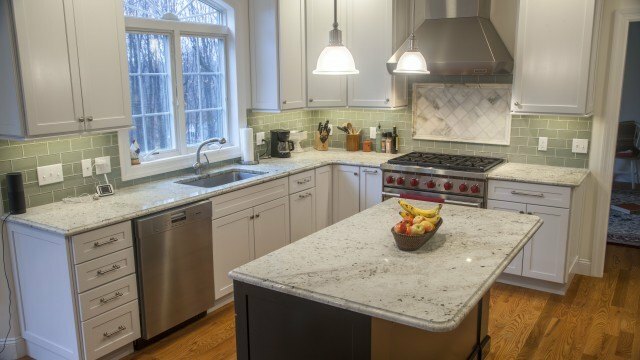 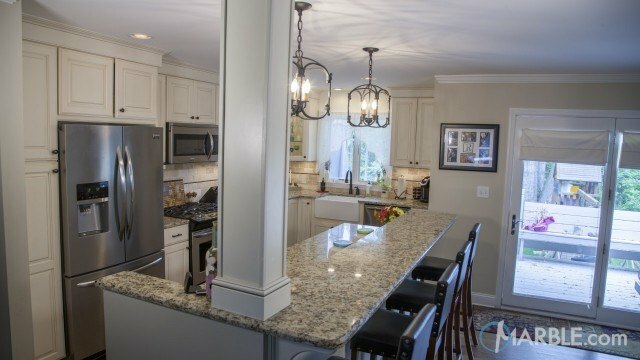 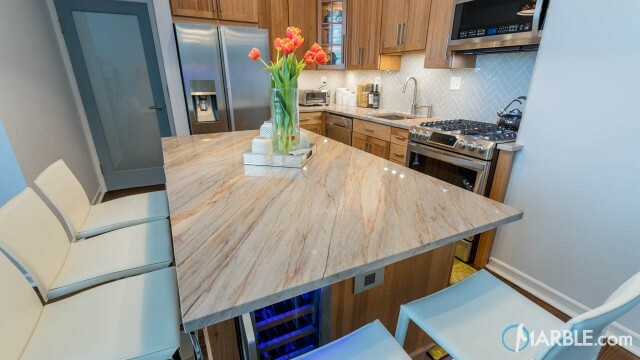 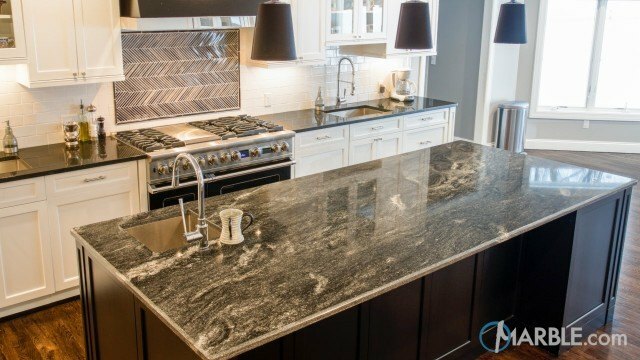 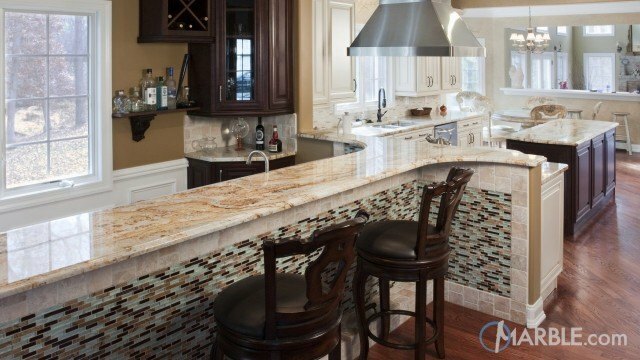 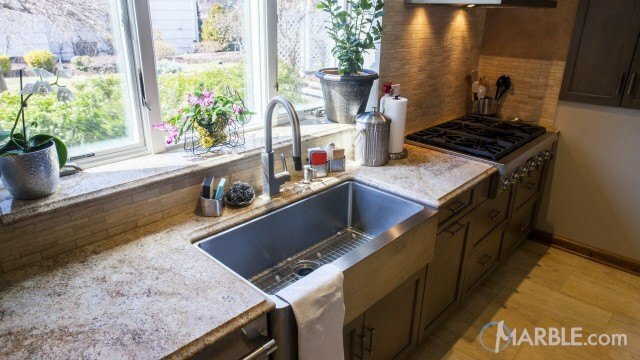 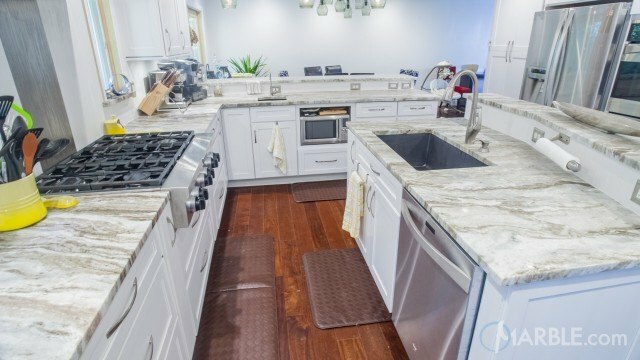 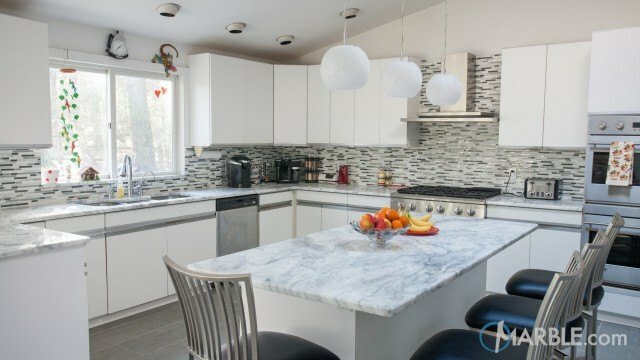 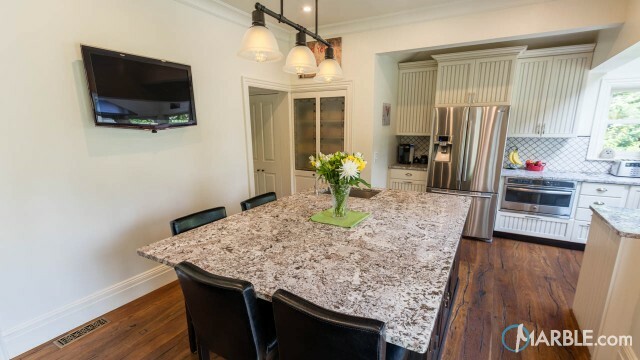 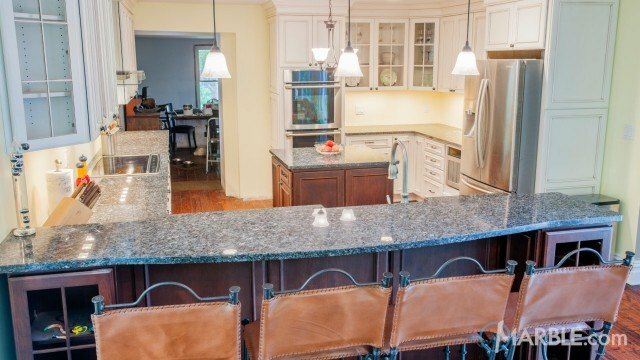 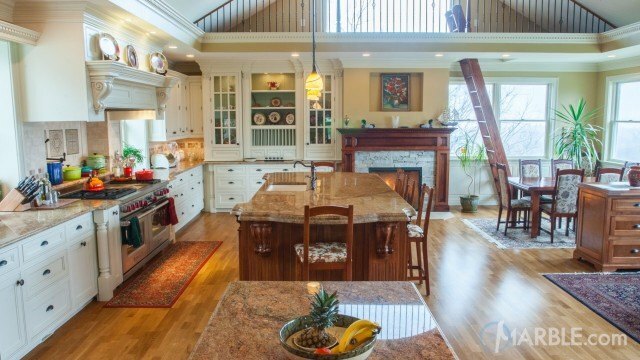 The split island allows for easy flow in the open kitchen layout. 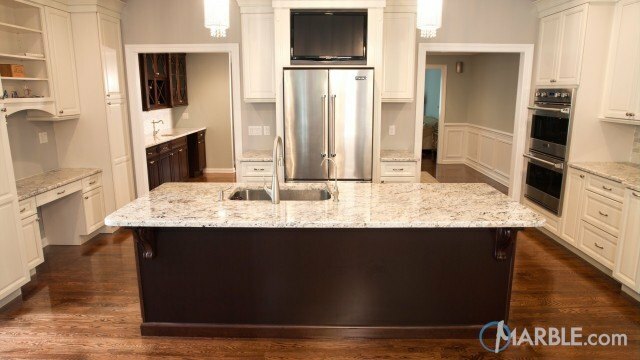 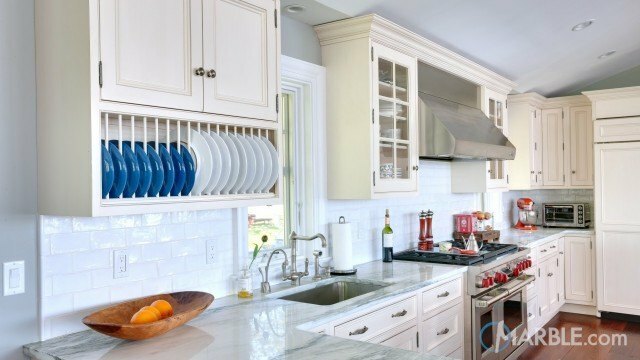 The 45 degree angle on the end counter allows the space to move freely.